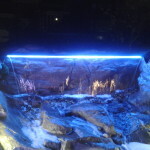 Beautiful total internal reflection of blue light in a circle water jet. A jet of water “traps” light, just like an optical fiber. 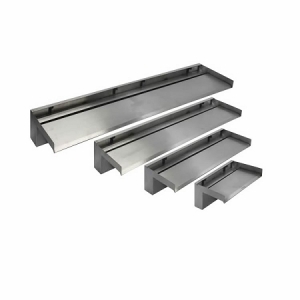 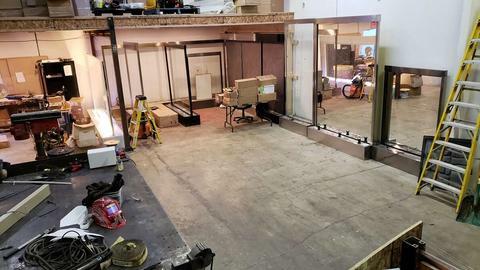 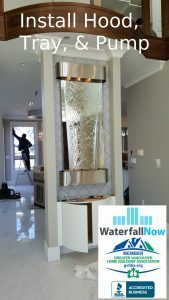 These connect to a 1500gph pump which is enough pressure to shoot the water up 8′ high while maintaining the clear glass appearance (also depends on the angle used). 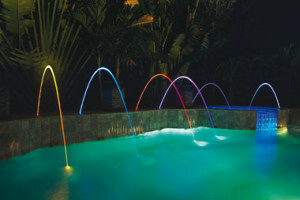 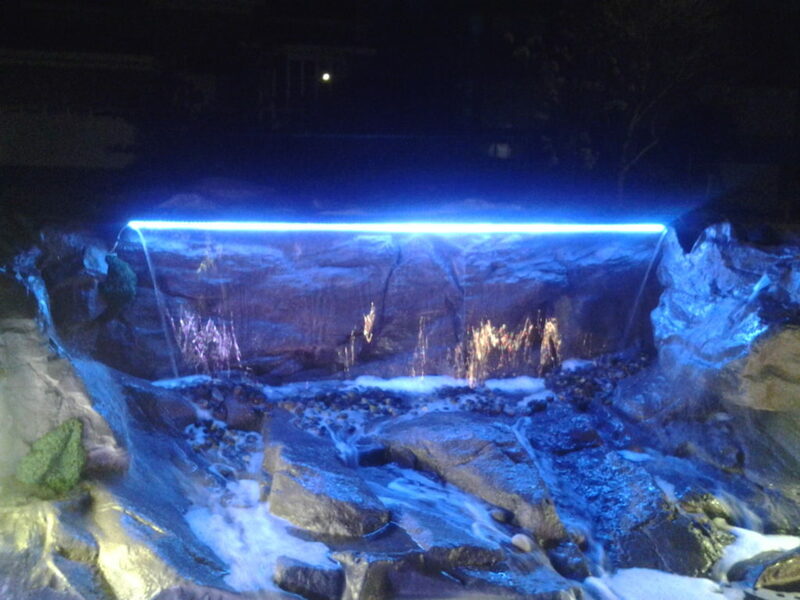 The light moves from the waterjet LED source all way to the touching down splashing spot without loosing much light. 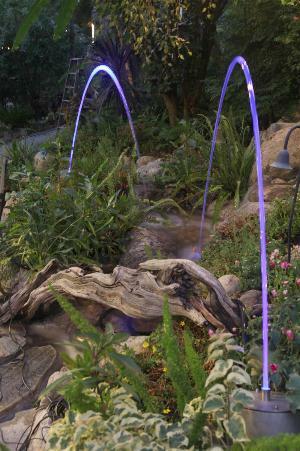 The effects are far more noticeable at night in dimmer conditions. 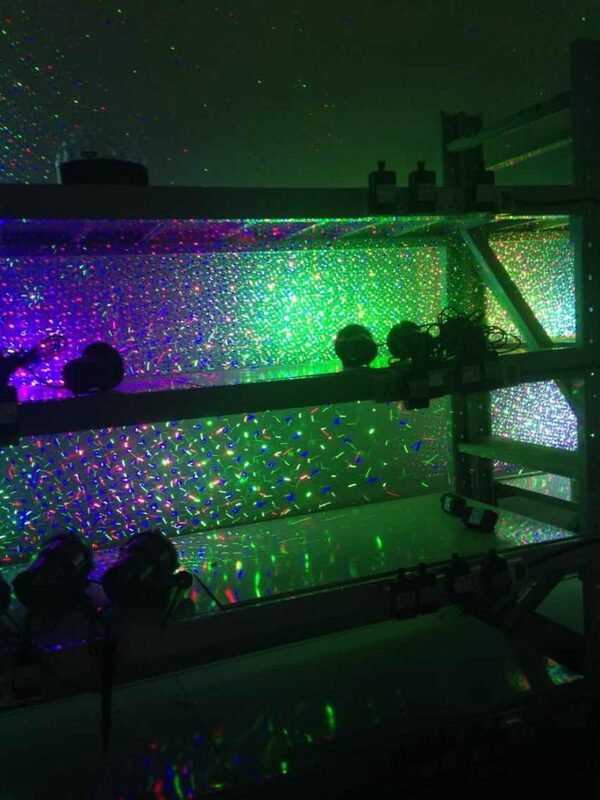 The LED optical water jet comes with a preinstalled 5W LED light which runs on AC 12V low voltage. 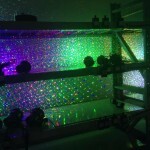 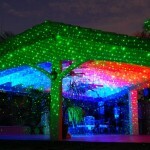 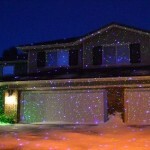 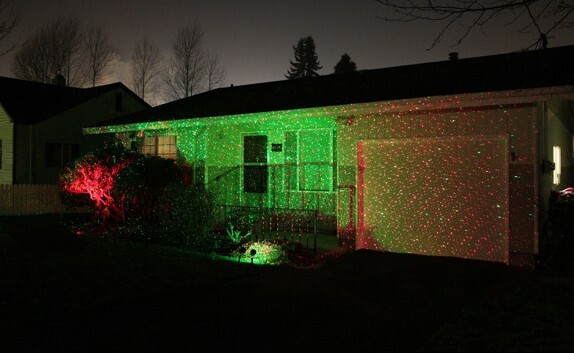 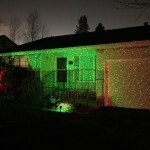 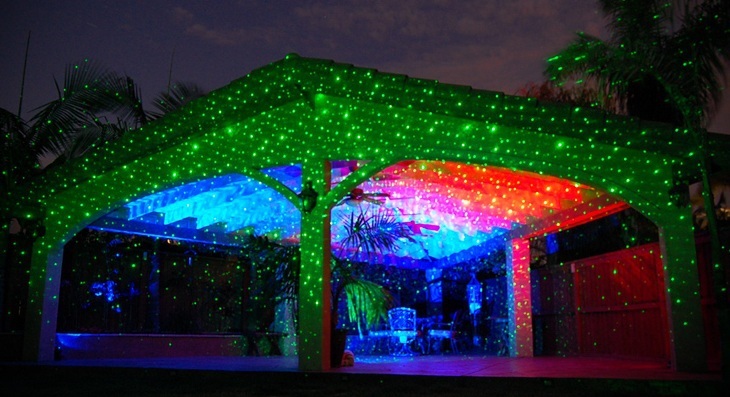 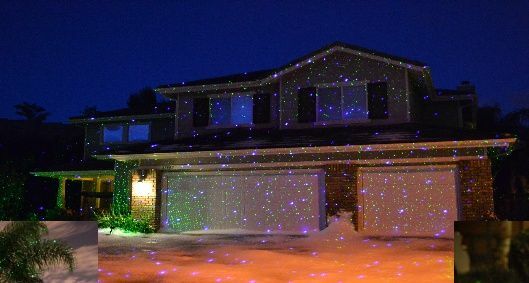 You can choose to have color changing lights, white, blue, green, red, yellow, purple and more. 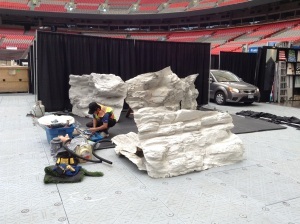 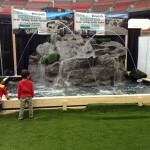 The waterjet itself needs no electric power to propel the arc of water. 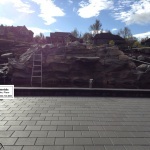 The angle can be adjusted and timers can be installed to program different effects. 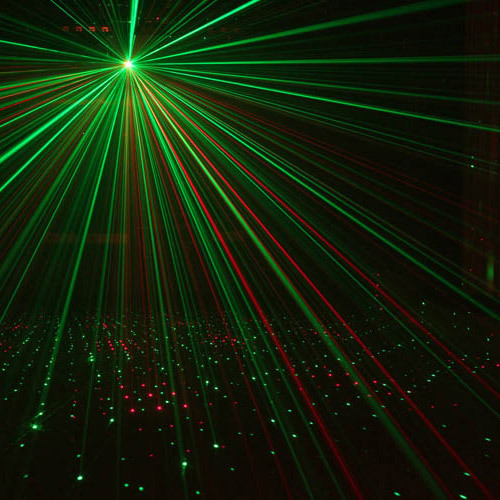 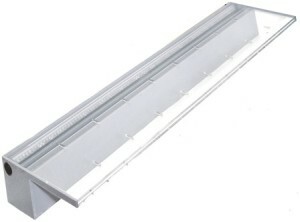 More expensive lines such as the OASE are programmable and can rotate on a multi axis to create stunning visual effects. 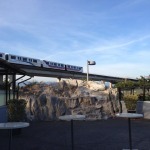 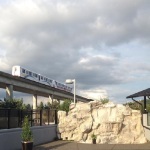 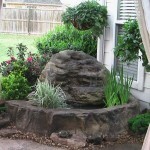 Why not add one to your garden? 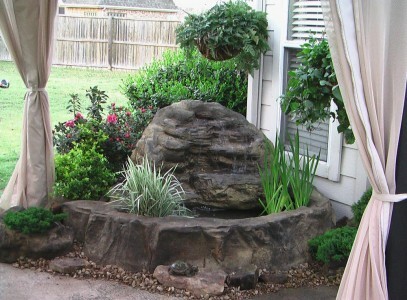 Water Feature Feng Shui Tips: Don’t Put That There! 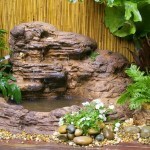 What Is Feng Shui And What Are Its Benefits With Water Features? 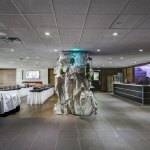 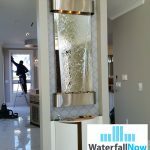 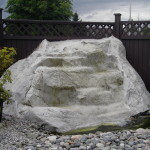 When it comes to feng shui tips for the placement of your water feature, it is helpful to understand the concept of feng shui. 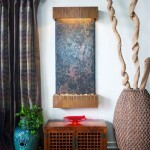 Feng shui is an ancient art and science developed more than three thousand years ago in China. 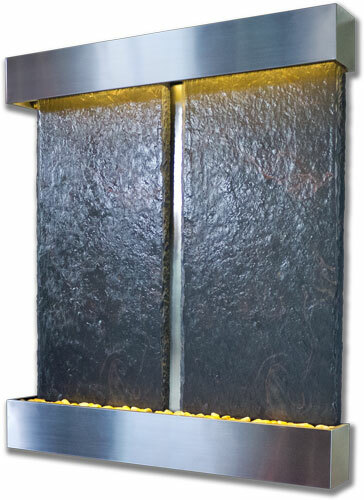 Simply put, it revolves around balancing of energies in any given space to bring good health and fortune to the residing people. 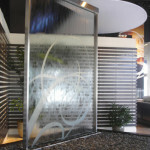 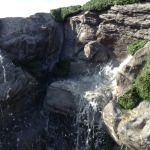 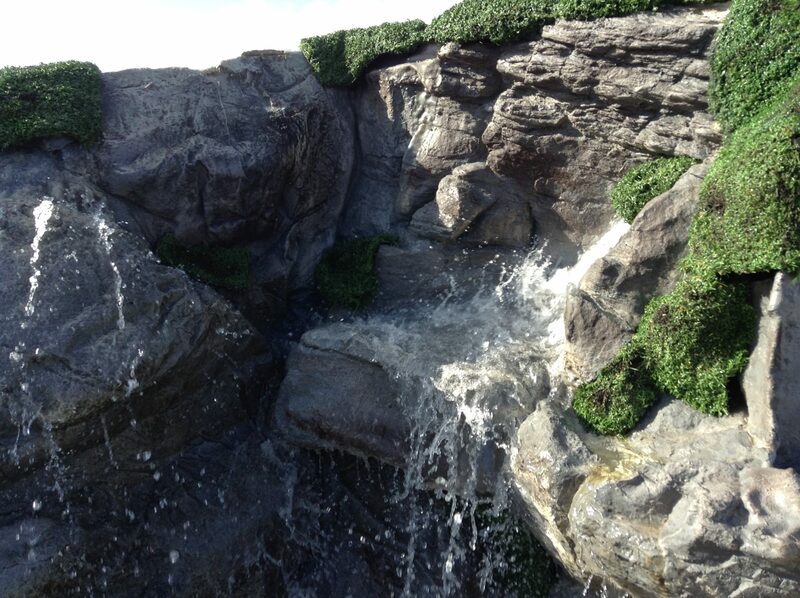 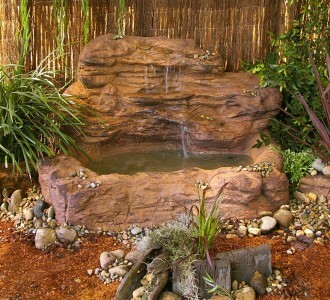 If you are wondering how it relates to your water feature, feng shui literally means wind and water. 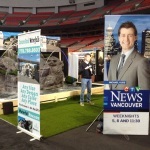 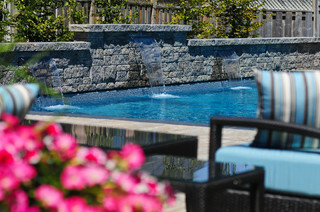 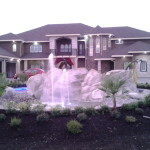 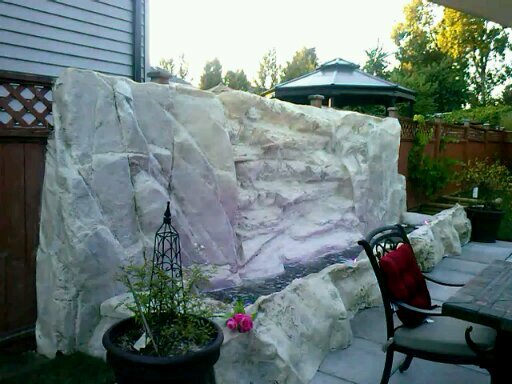 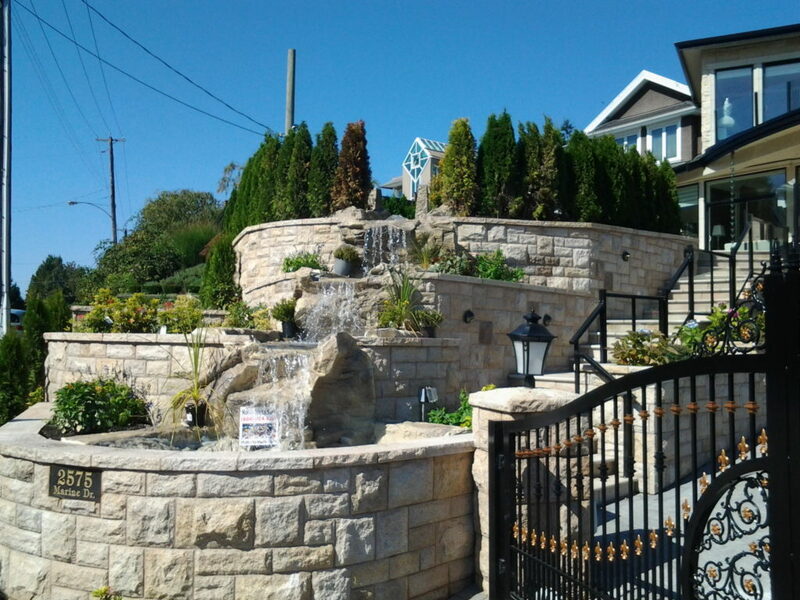 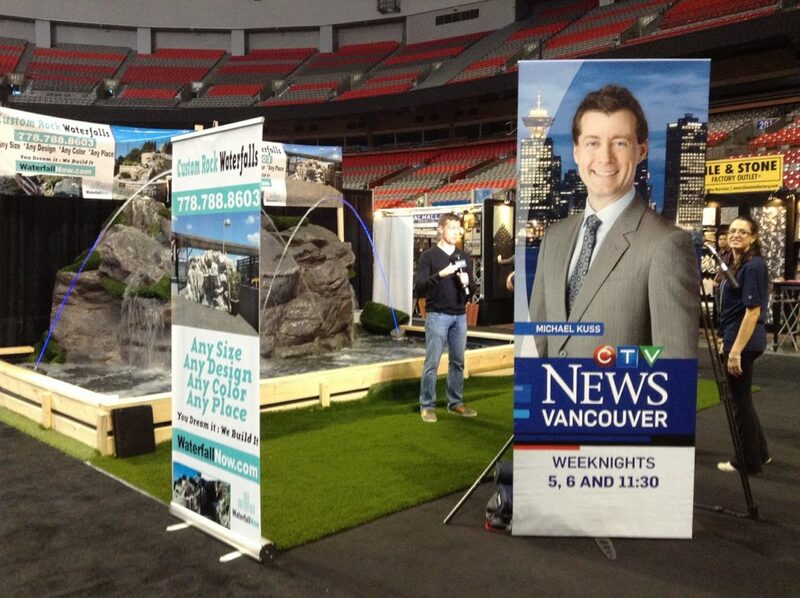 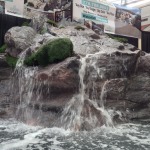 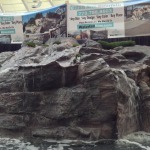 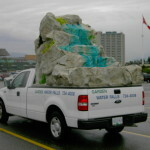 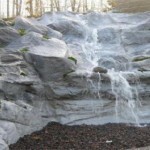 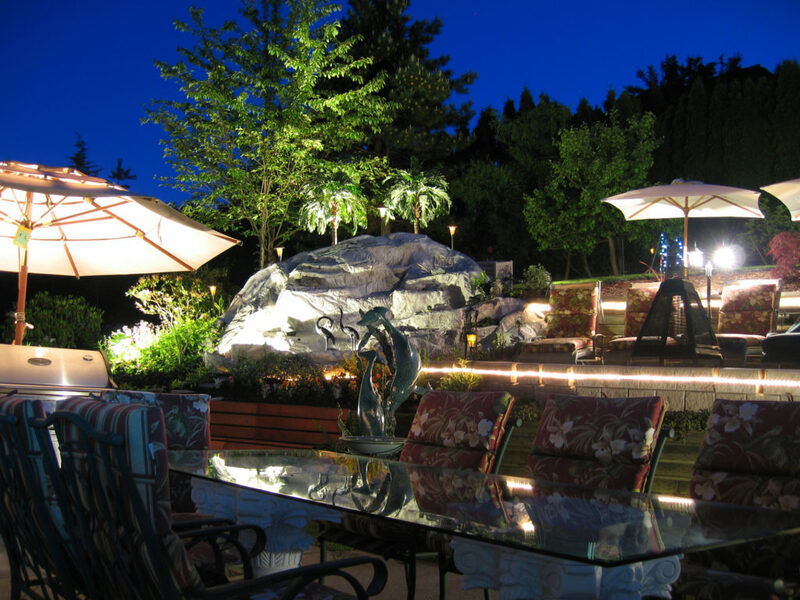 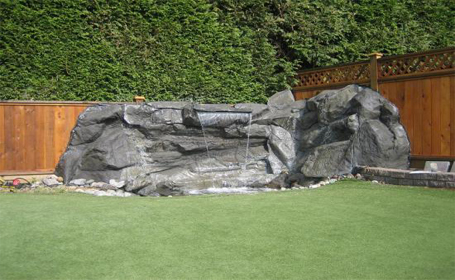 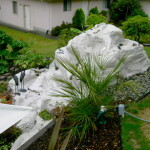 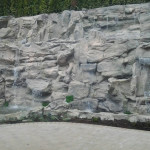 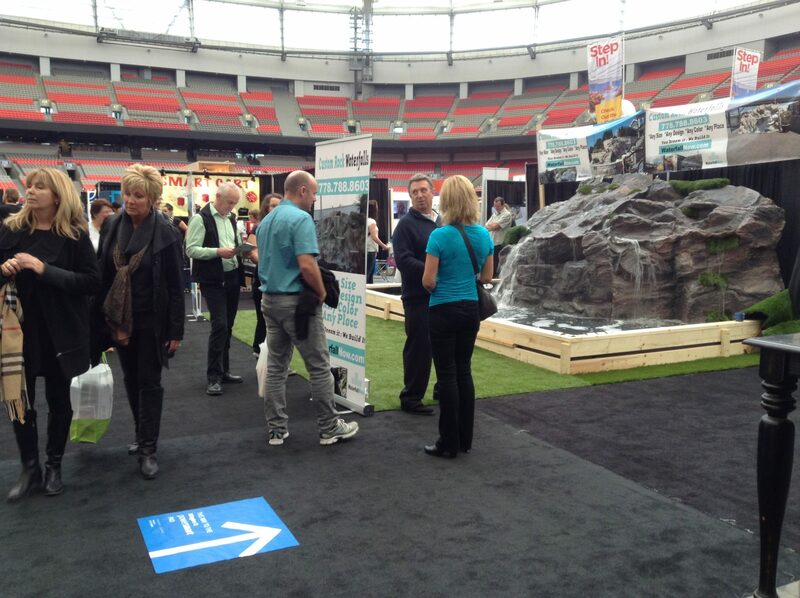 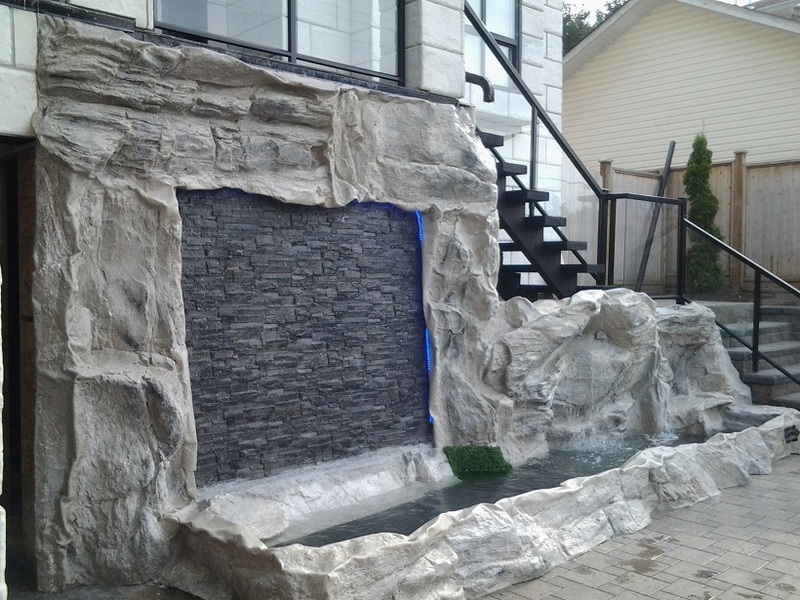 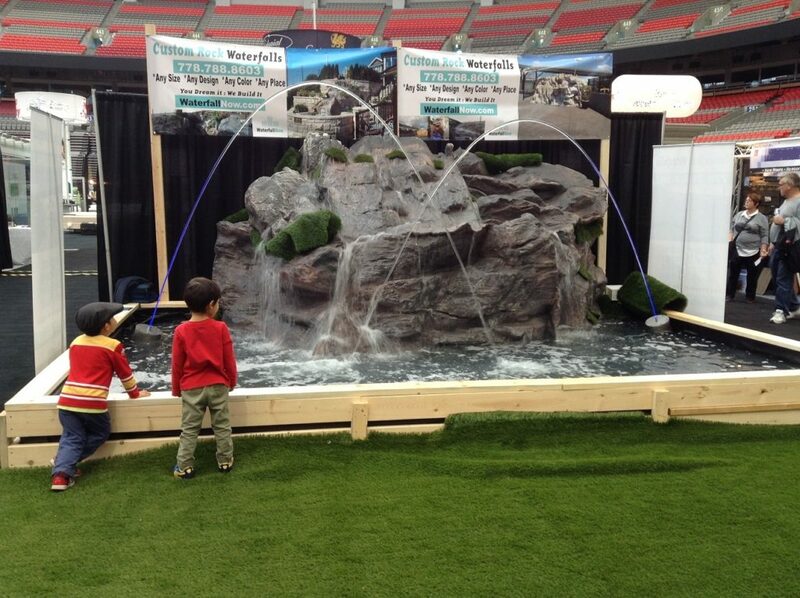 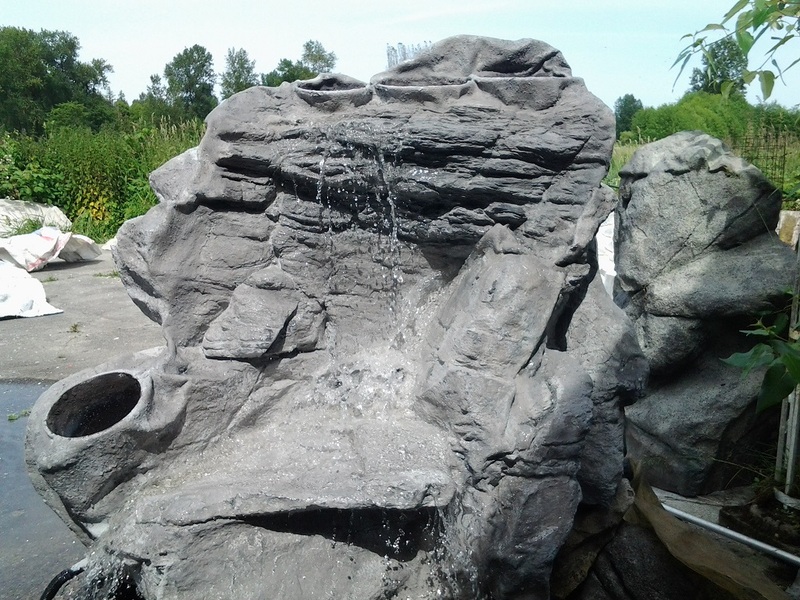 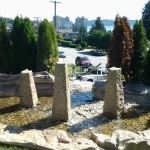 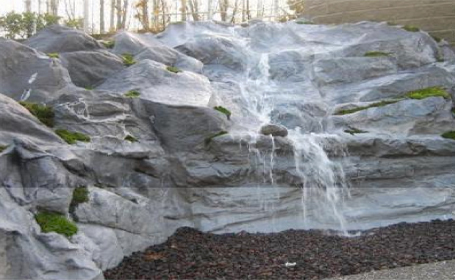 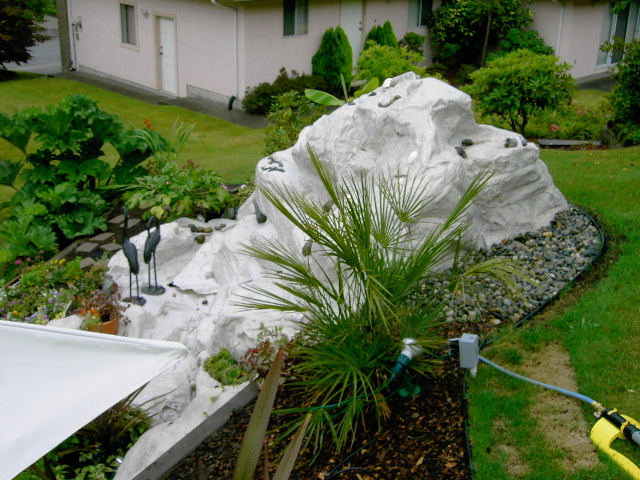 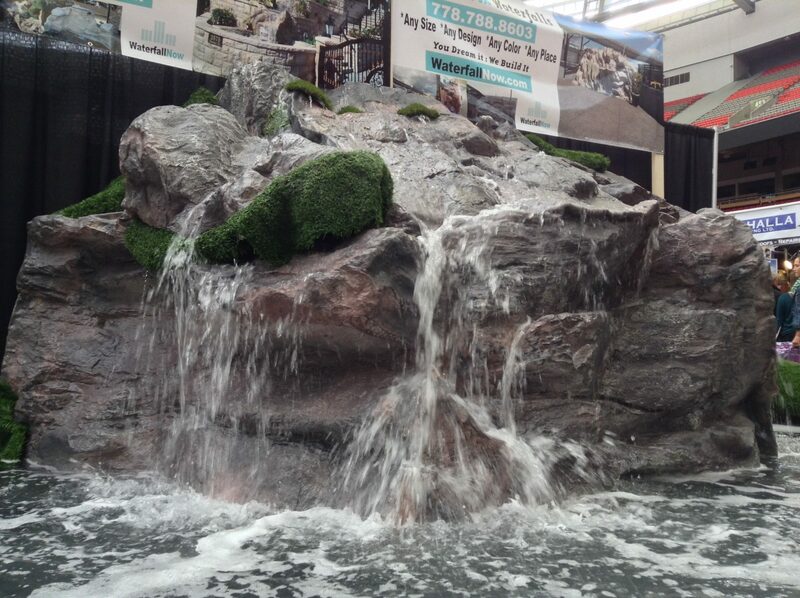 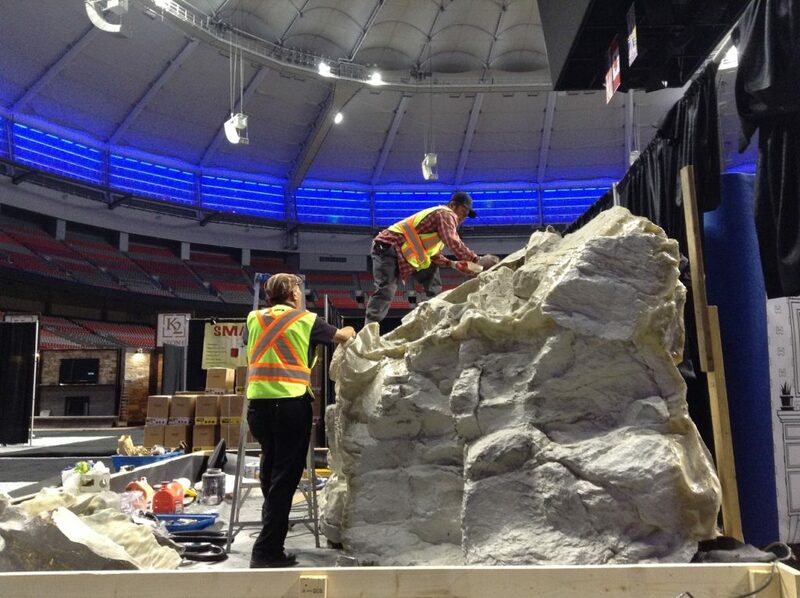 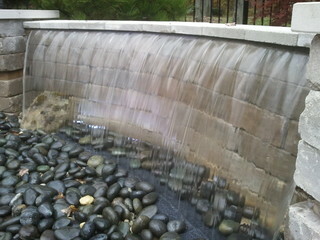 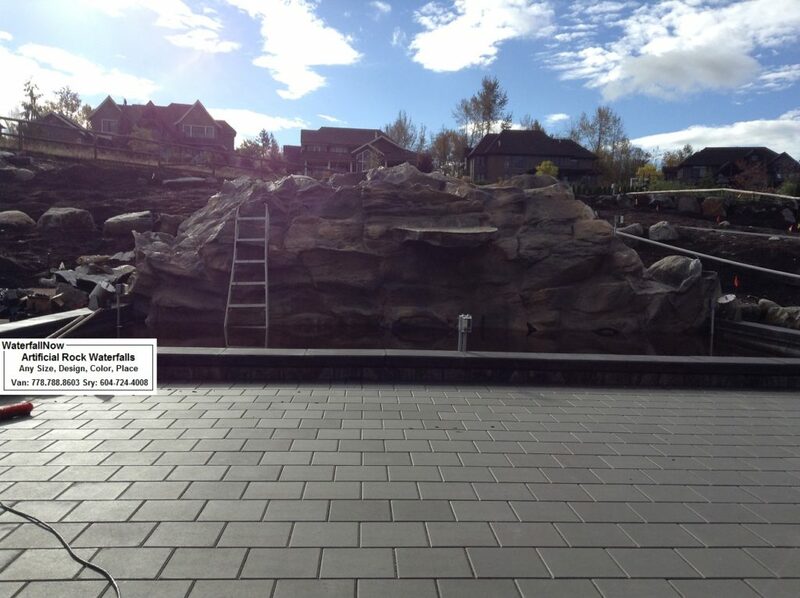 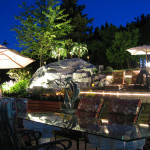 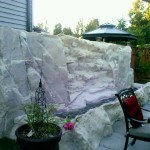 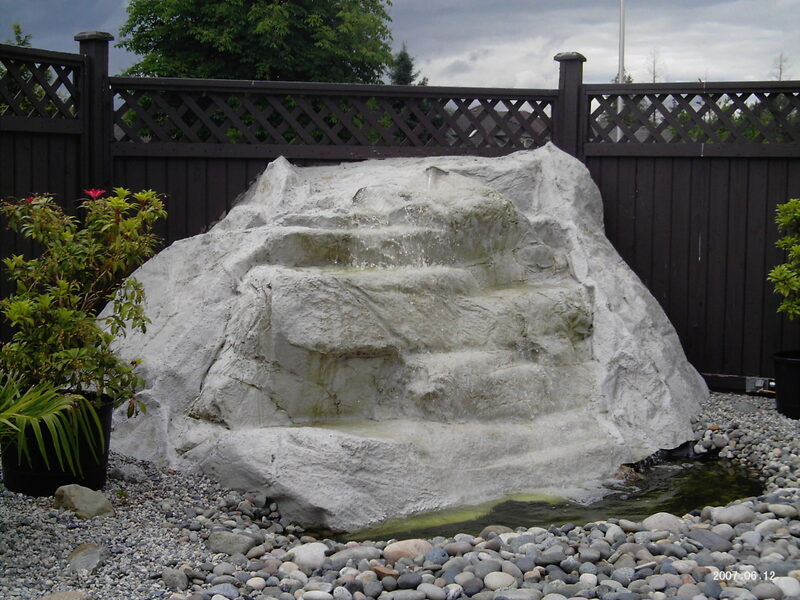 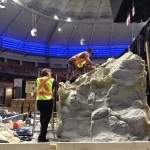 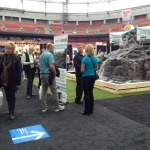 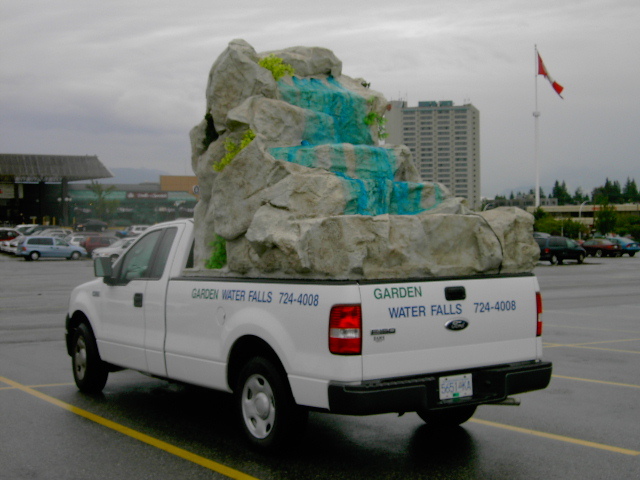 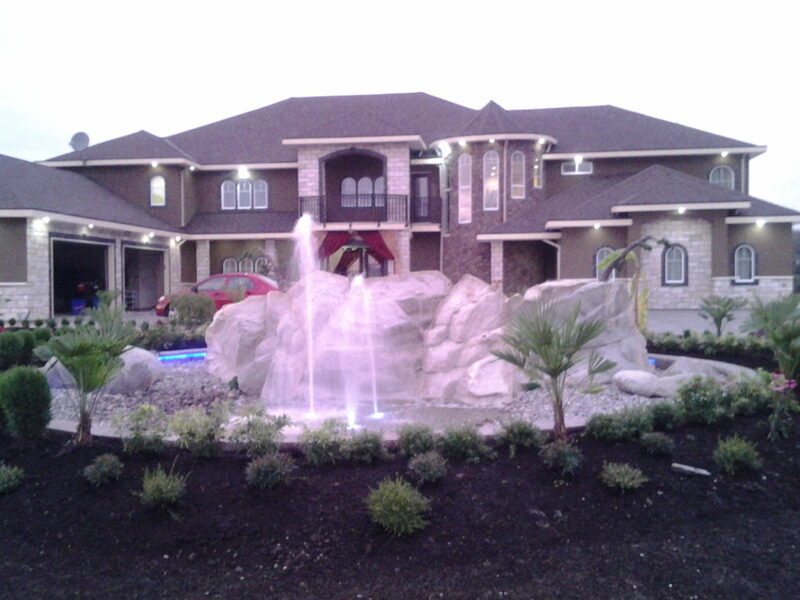 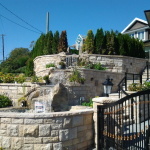 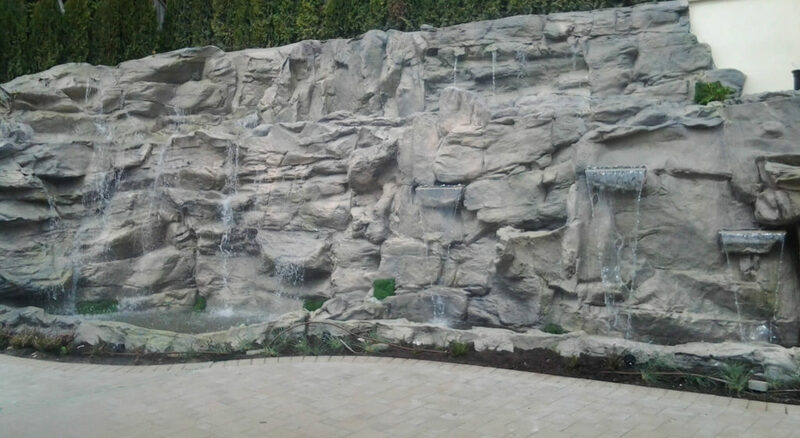 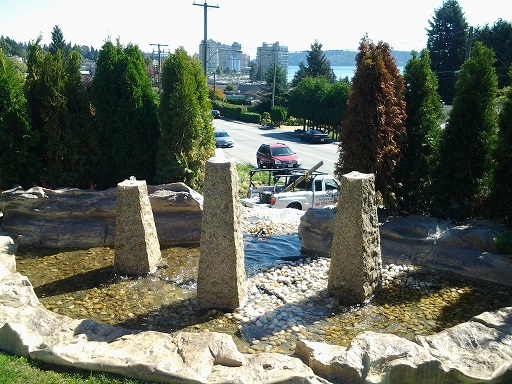 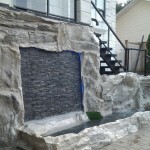 People living in stressful cities such as Vancouver can benefit greatly by adding a water feature to their home. 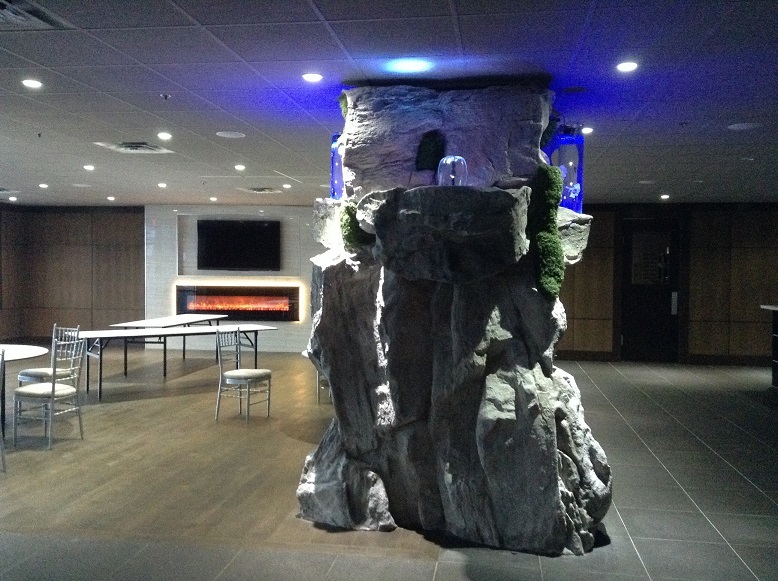 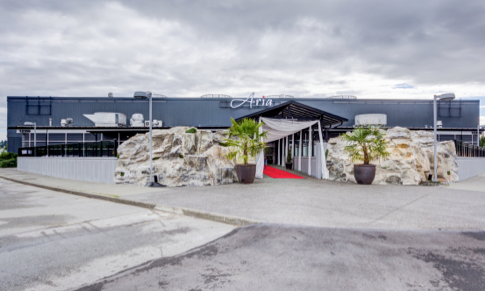 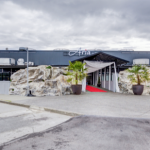 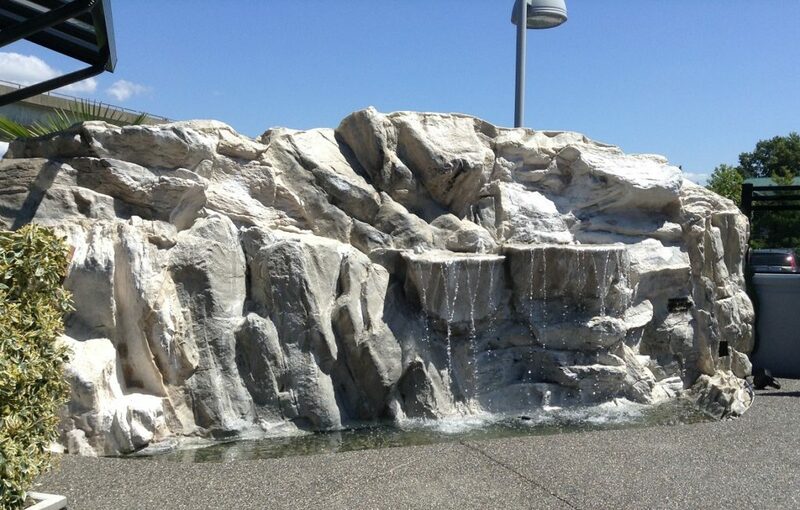 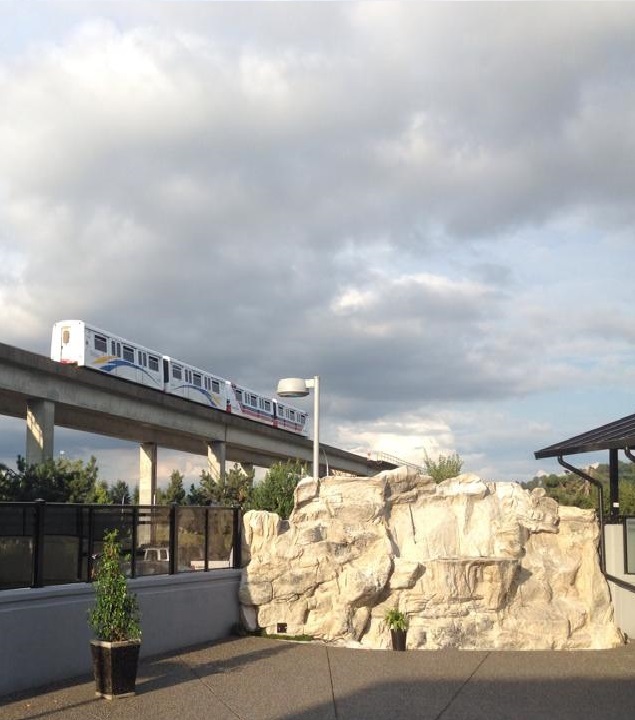 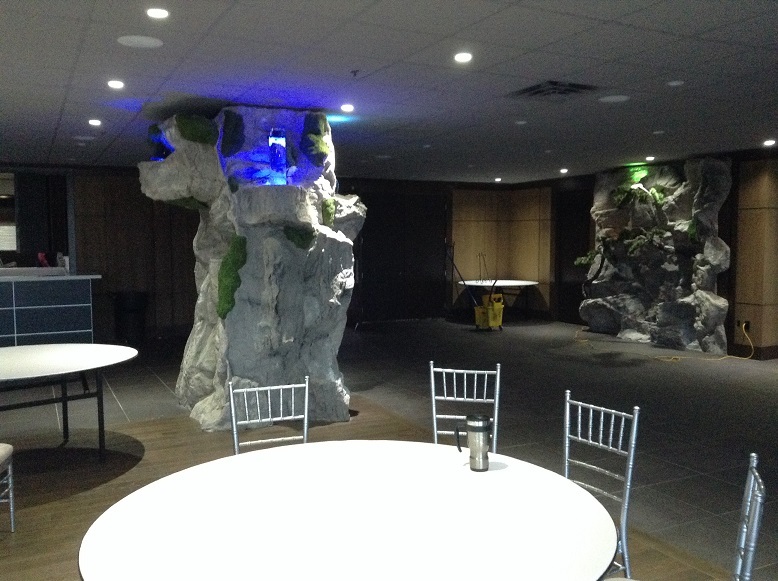 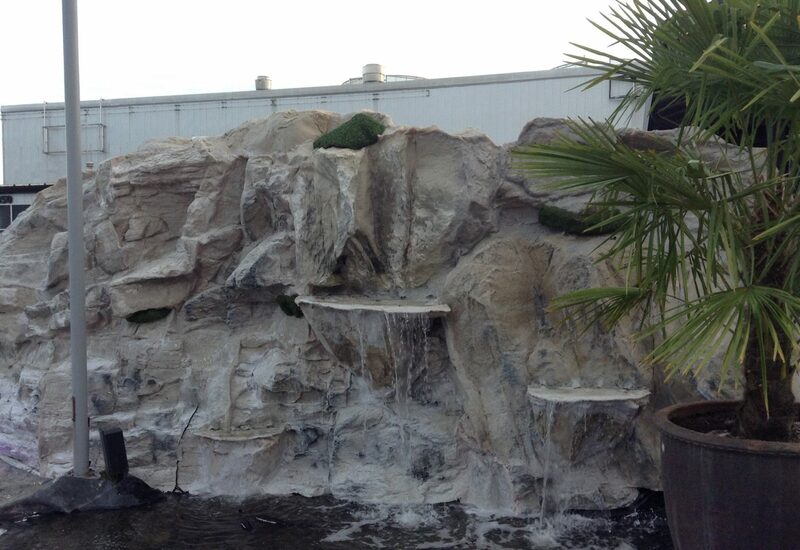 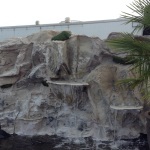 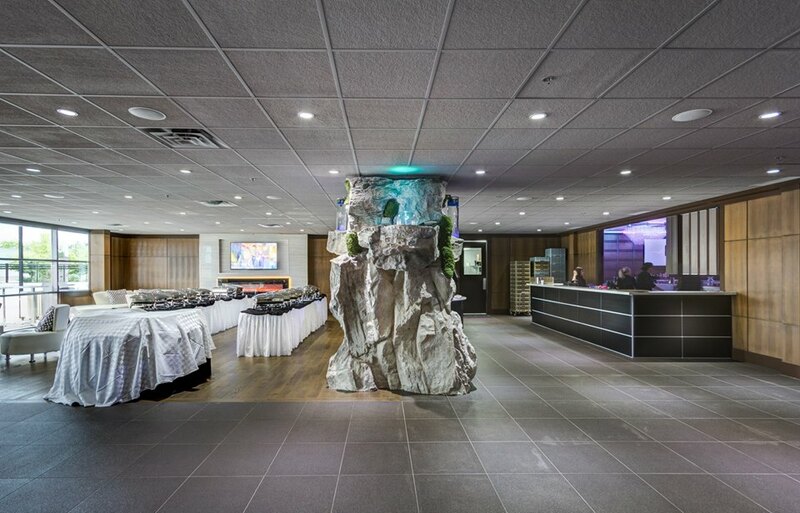 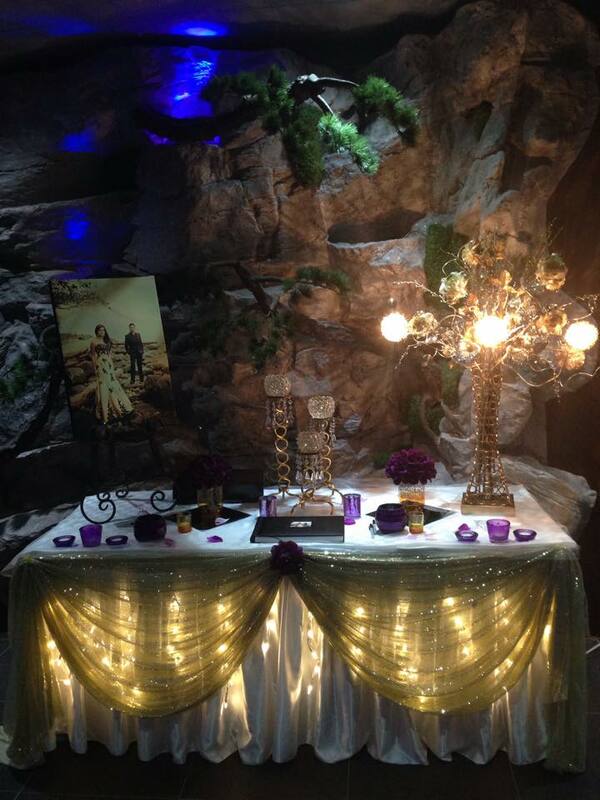 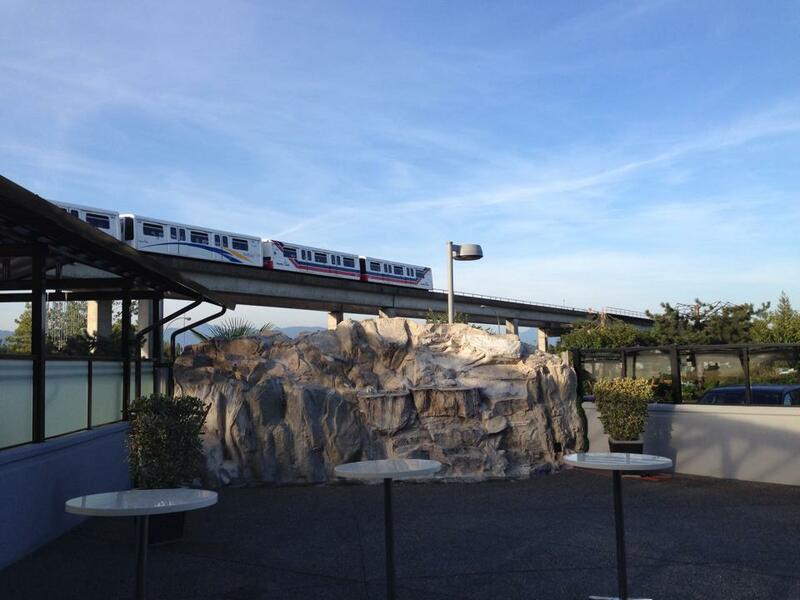 But did you know there are places where you shouldn’t put a water feature? 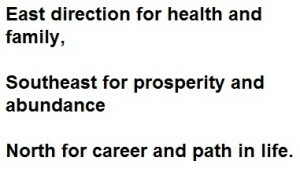 Read more to continue. 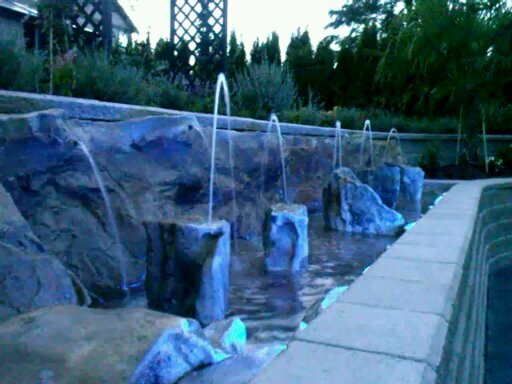 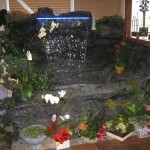 It is not necessary that the water feature has to look oriental to be used for feng shui. 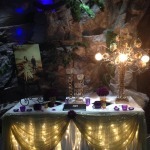 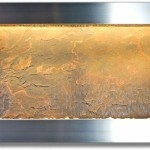 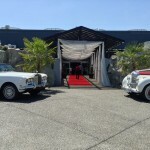 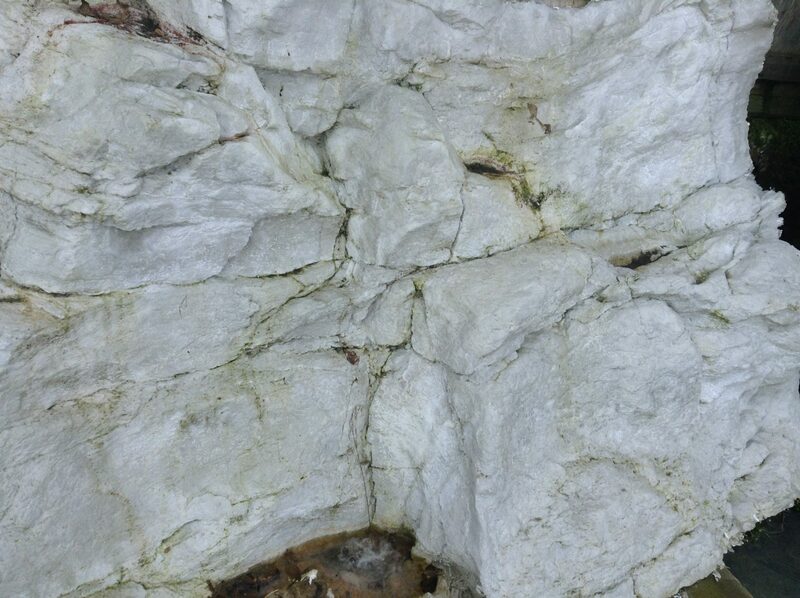 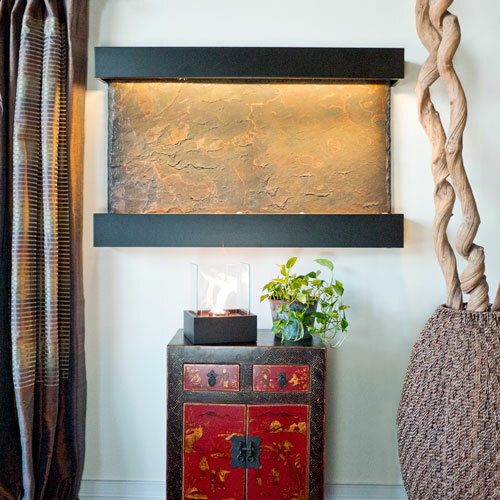 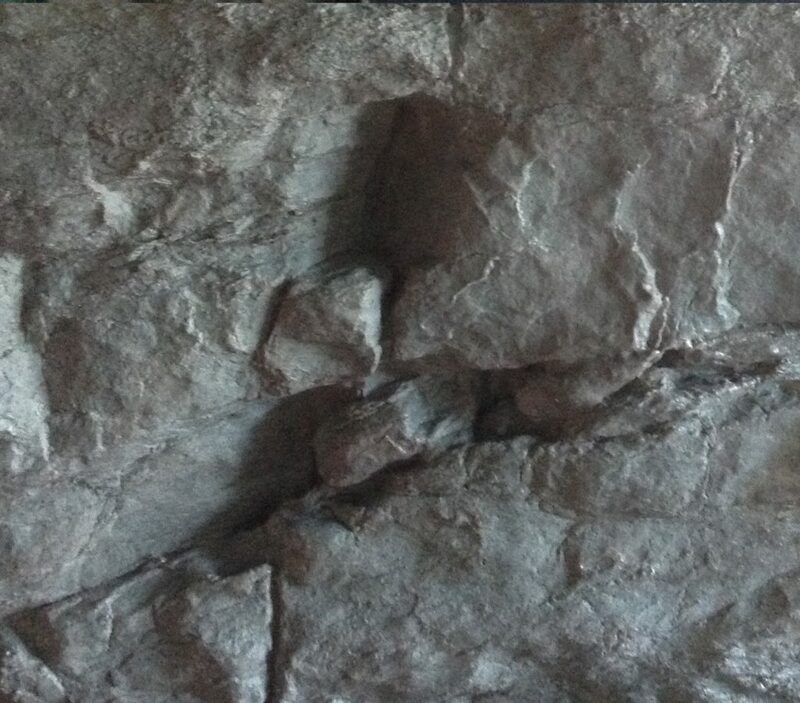 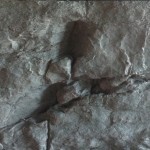 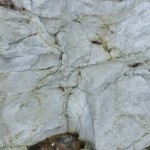 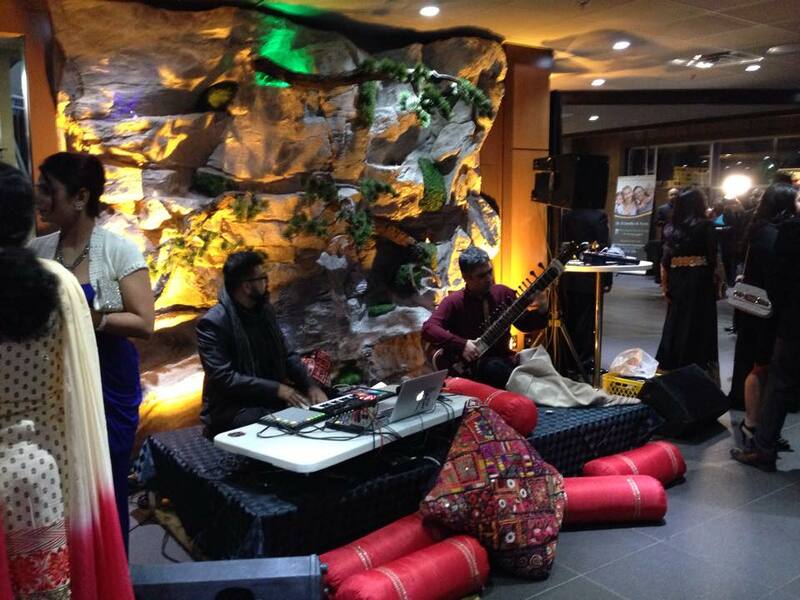 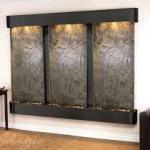 In fact, it is preferred that it works harmoniously with your interior or exterior décor. 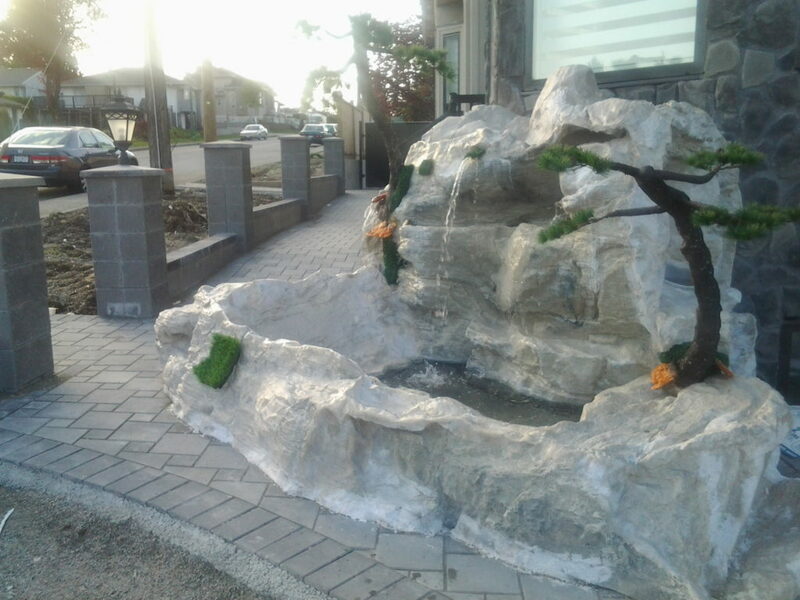 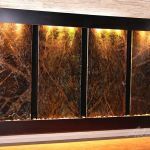 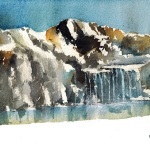 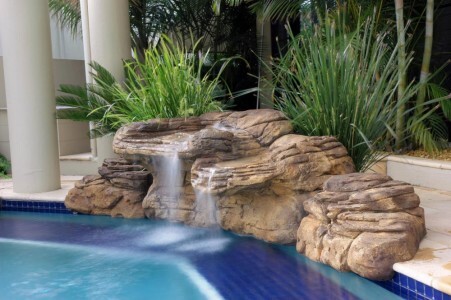 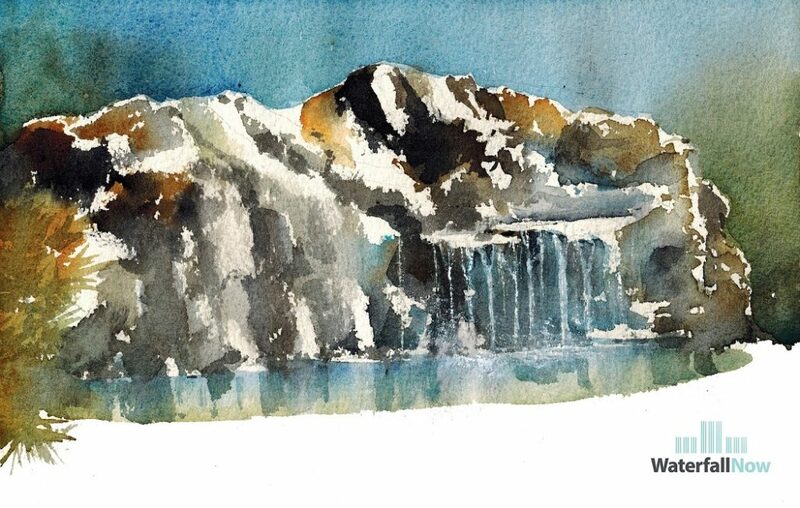 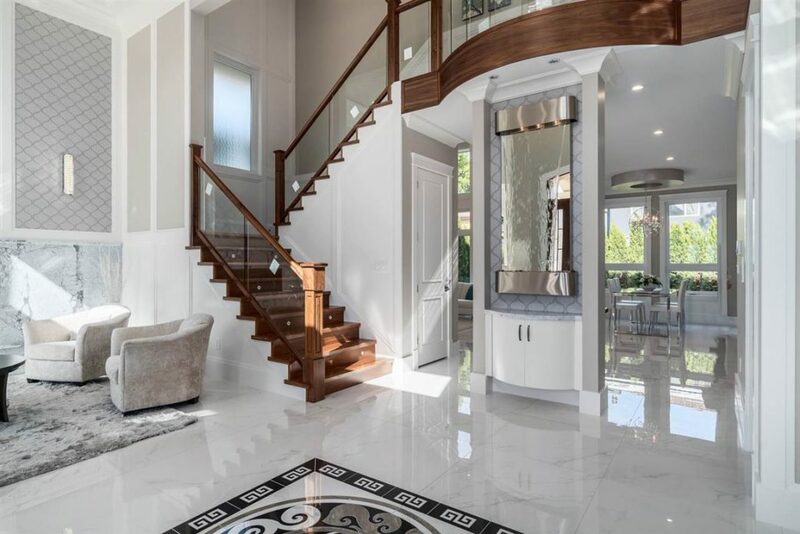 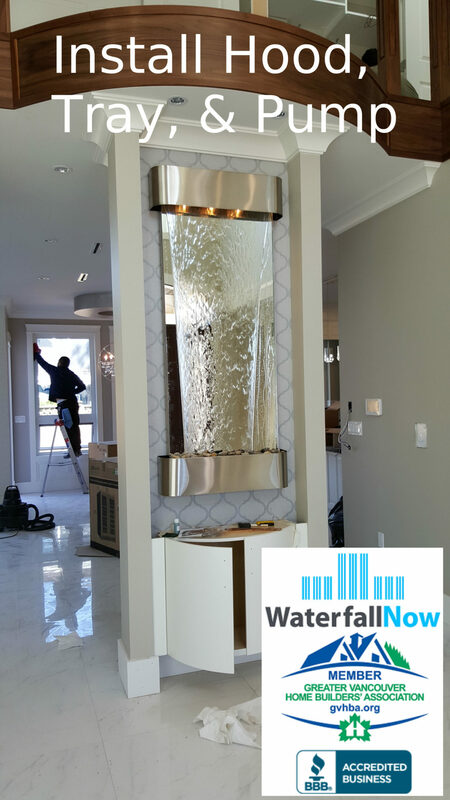 As aforementioned, water features are very popular in feng shui as they bring the energy of water into your home and water is a symbol of wealth and prosperity. 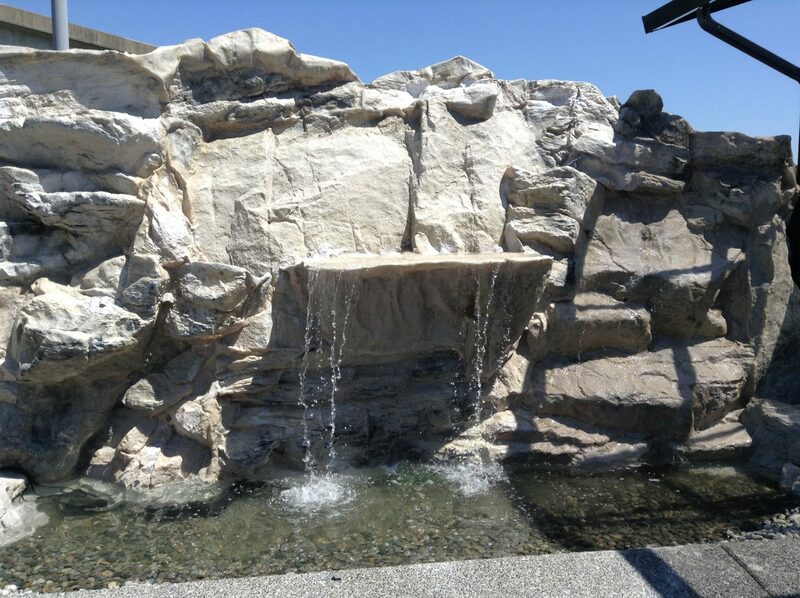 The flowing water of the water feature helps reactivate life-force of the space, restores balance and produce beneficial yang energy. 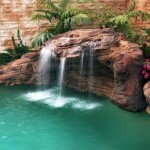 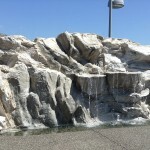 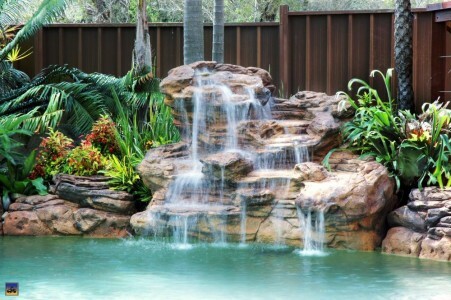 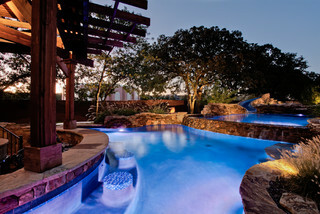 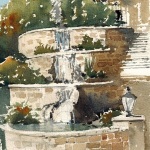 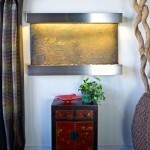 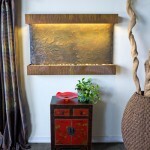 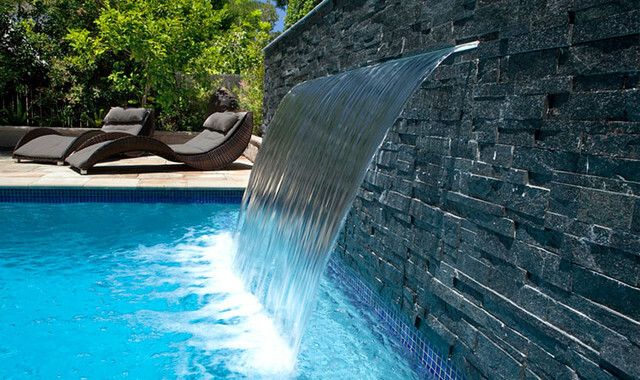 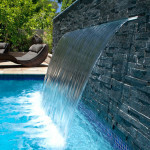 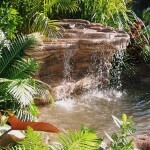 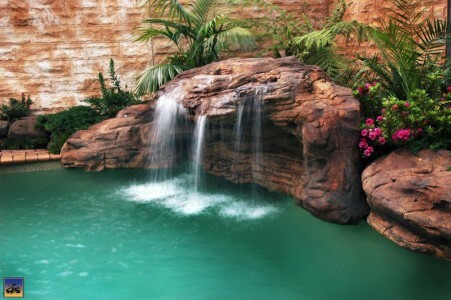 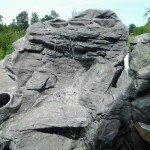 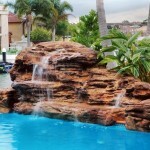 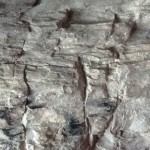 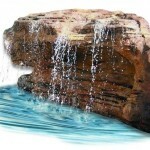 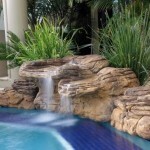 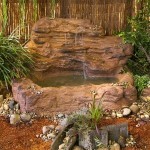 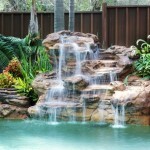 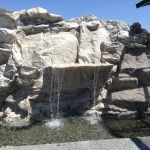 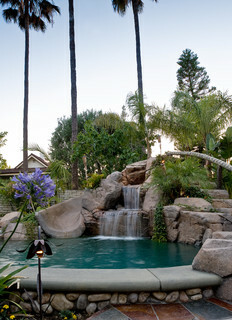 However, there are guidelines and rules to be followed in order to use water features for good feng shui. 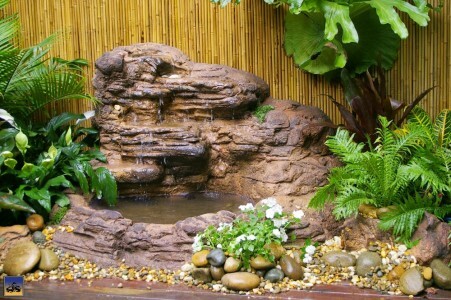 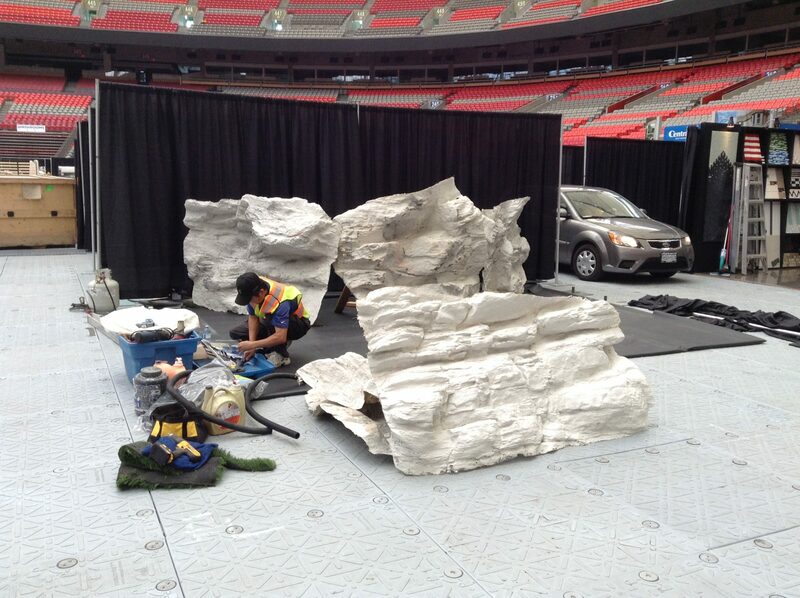 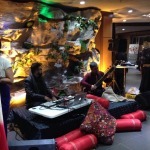 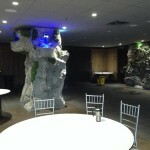 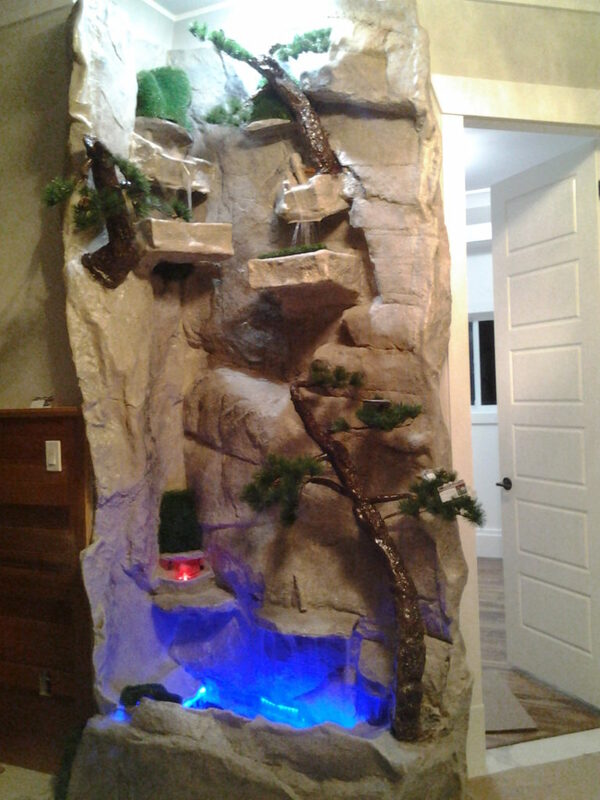 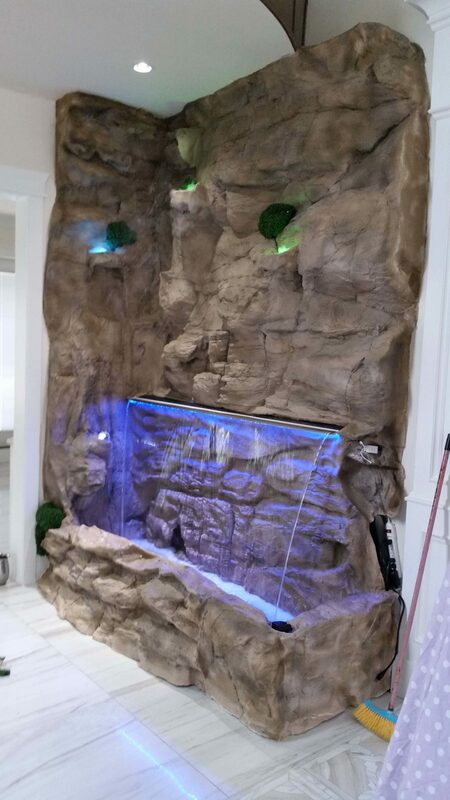 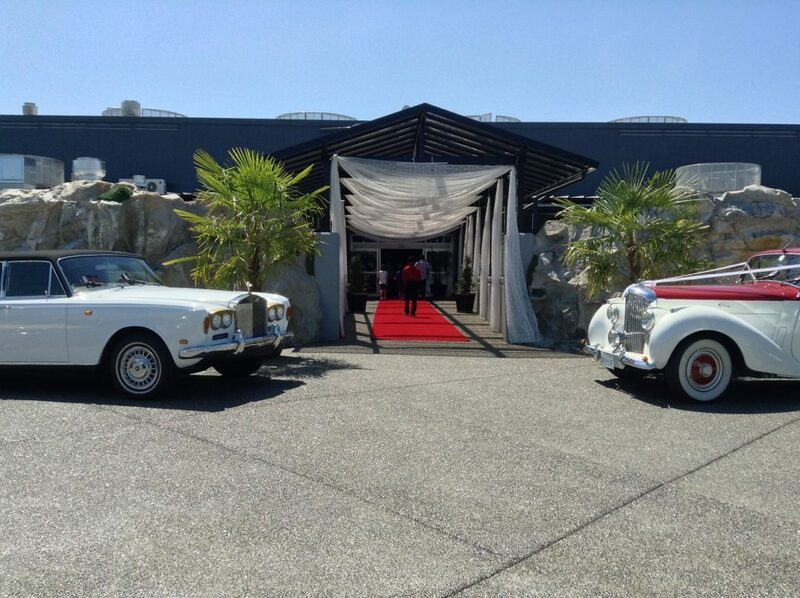 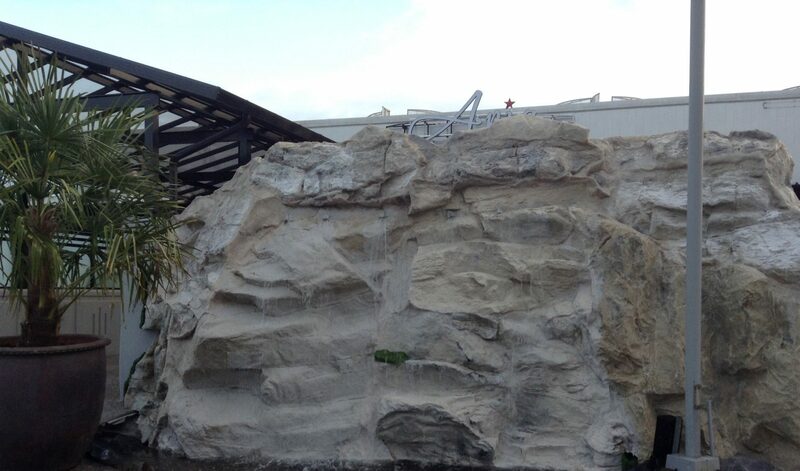 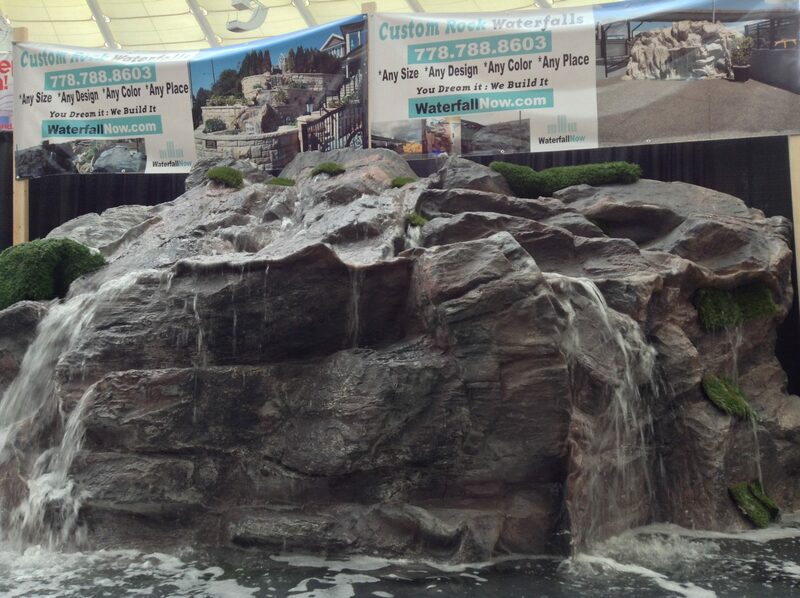 You should note here that improper placement of the water feature is considered to bring bad feng shui to your home. 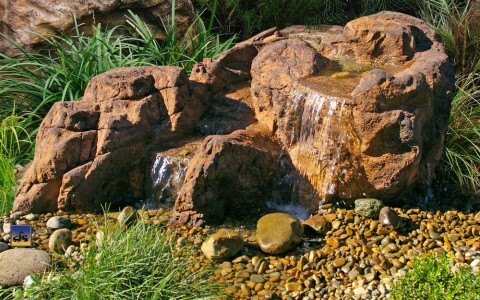 If you are planning to install a water feature in your garden or your home for good feng shui, there are guidelines that could potentially improve the feng shui energy. 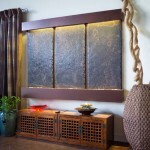 The location of any feng shui water feature should be determined by the Ba-Gua, a feng shui energy map. 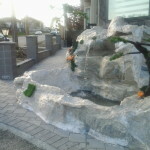 The fountain should be placed in the east direction for health and family, southeast for prosperity and abundance and north for career and path in life. 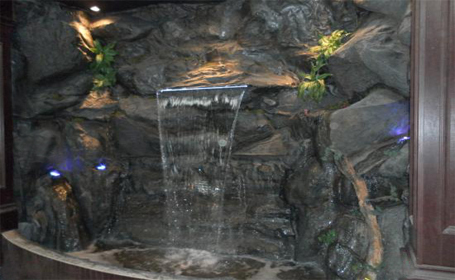 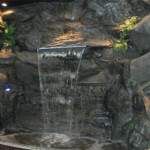 The fountain should not be placed in the south area of the house, as according to feng shui ideology, south is associated with fame and reputation and its symbol is fire. 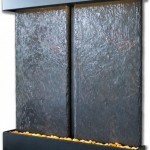 When you bring water feng shui element into the fire feng shui element, it contradicts each other. 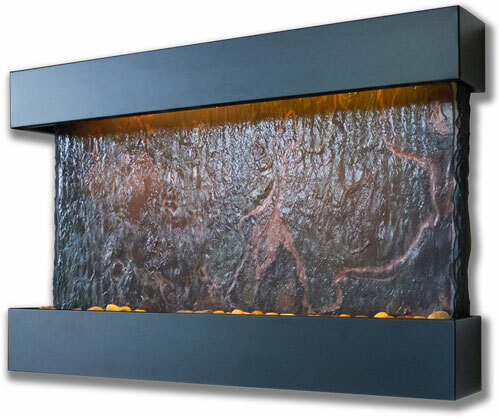 Hence, you end up creating a bad feng shui or conflicting energy, as water puts down fire. 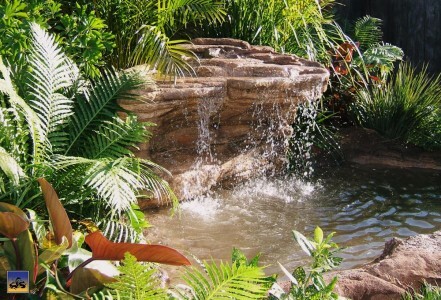 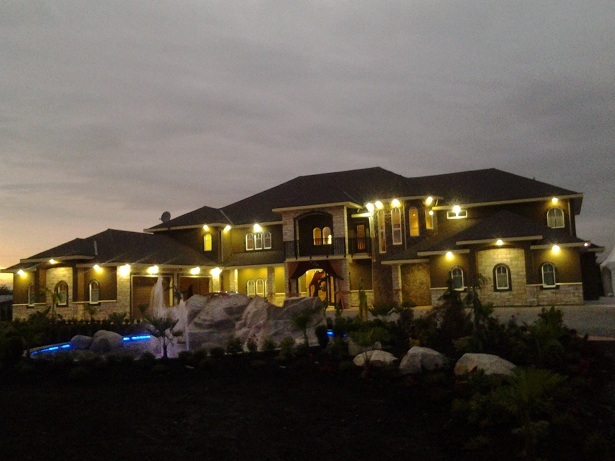 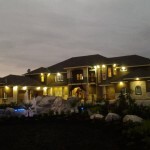 In addition, when placing a water feature in your garden, it is preferable to have the water flow towards your house so that wealth and abundance flow towards your house and not away from it. 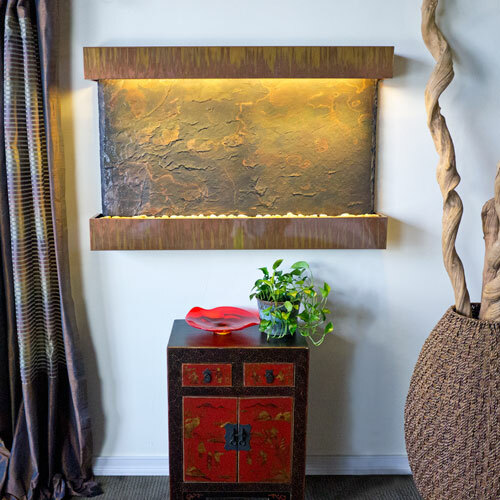 You should consider how the feng shui elements are expressed in shapes and colors, so that it complements the water element and the needed feng shui in the given space is not overpowering. 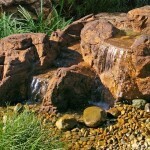 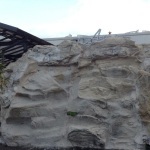 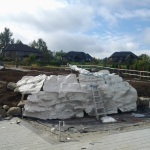 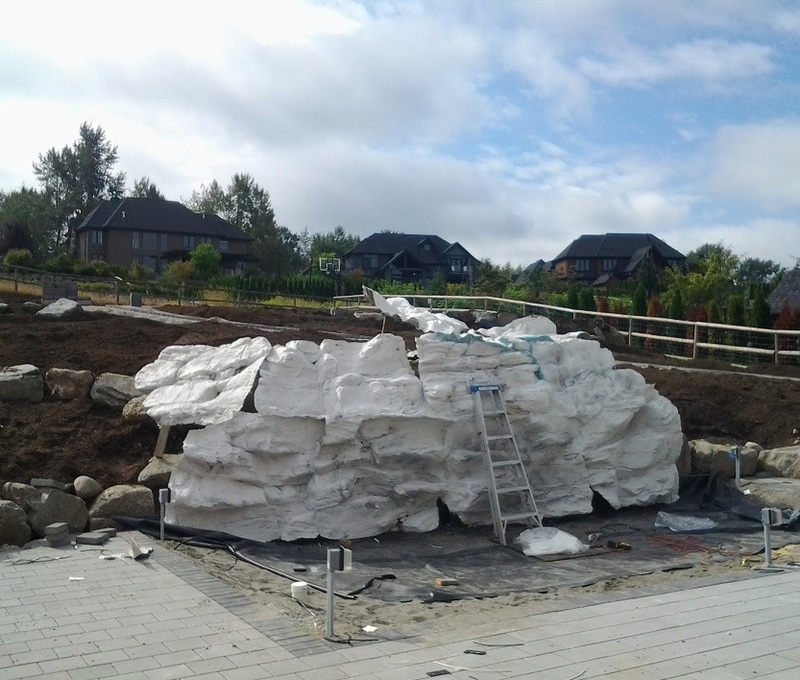 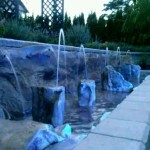 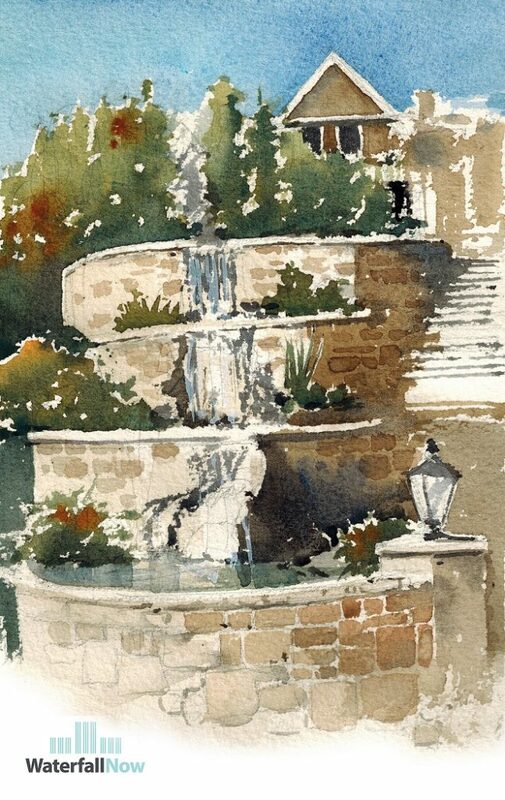 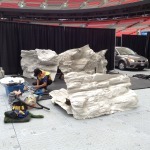 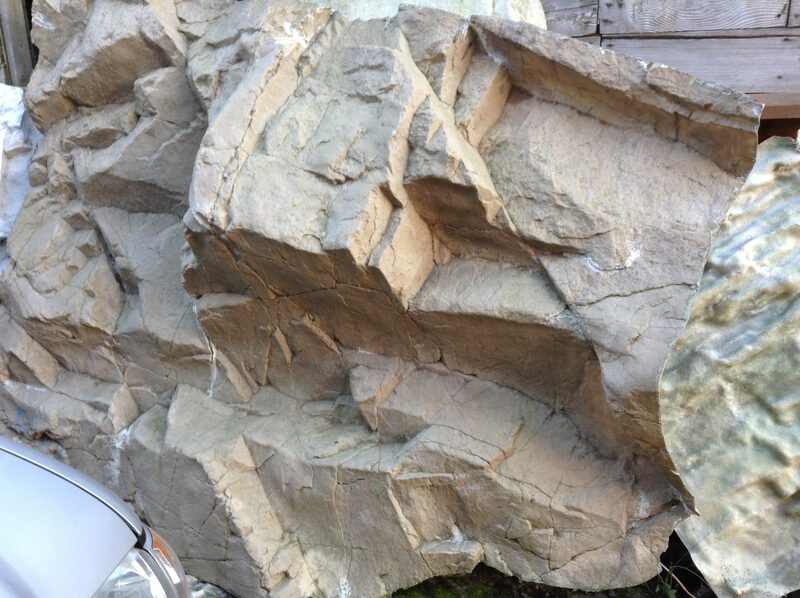 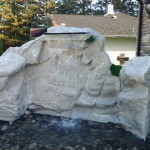 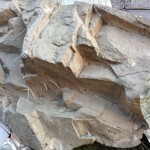 The shape, color and material of the water feature should express and support the needed feng shui. 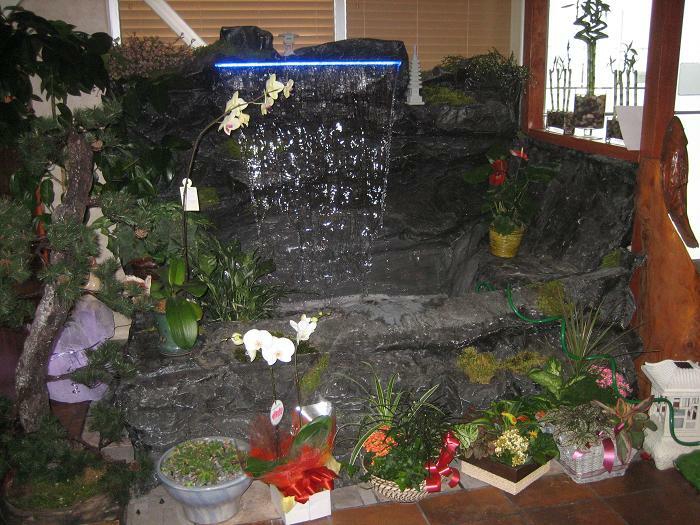 You should start by selecting the location of the water feature and then selecting the shape, color and material accordingly. 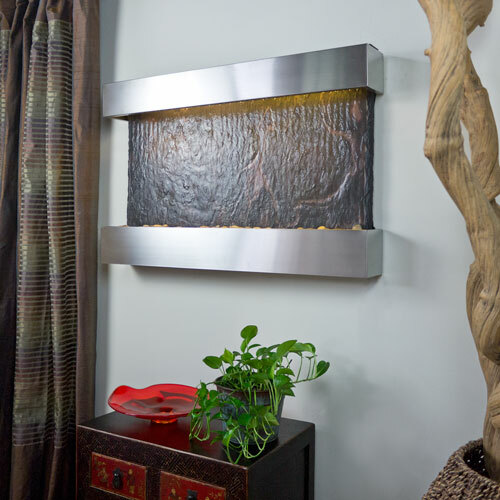 Placing a feng shui water feature in your bedroom is considered bad feng shui. 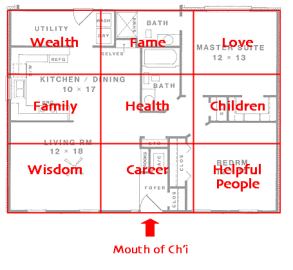 The location of your bedroom is irrelevant. 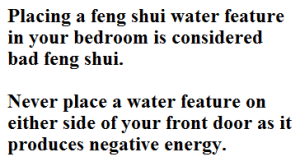 The water feng shui element is believed to bring negative energy in form of worry into your bedroom. So, if you are considering a water feature for feng shui purpose, keep it out of your bedroom. 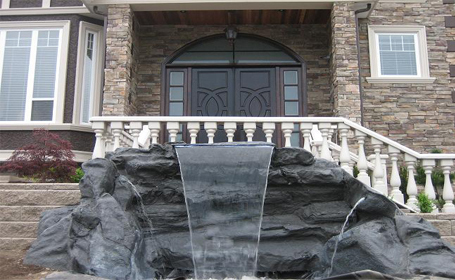 Also, never place a water feature on either side of your front door as it produces negative energy. 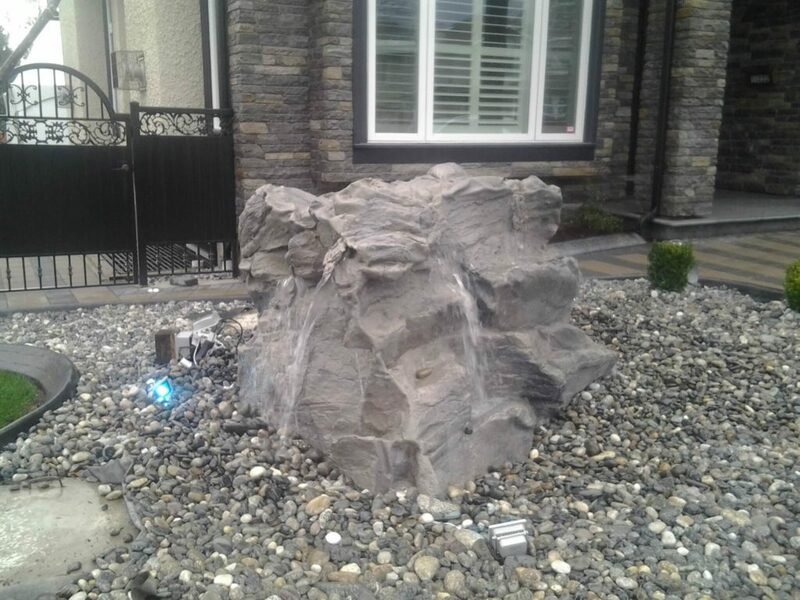 You can enhance the feng shui positive energy by placing crystals or stones in your fountain, which strengthens the good energy. 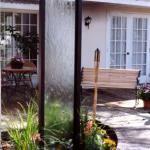 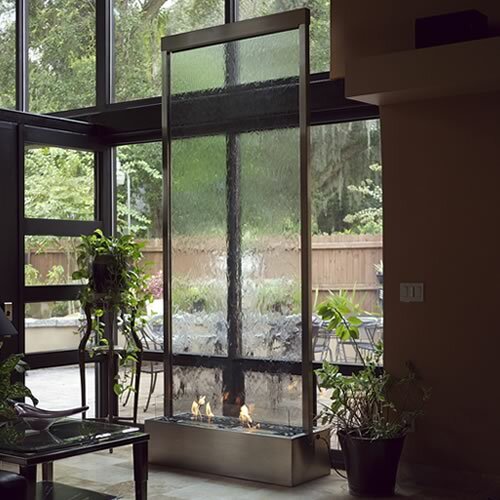 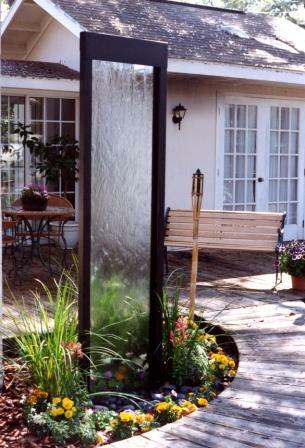 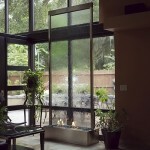 Using essential oils with your water feature that can diffuse them into the air can also augment the positive energy. 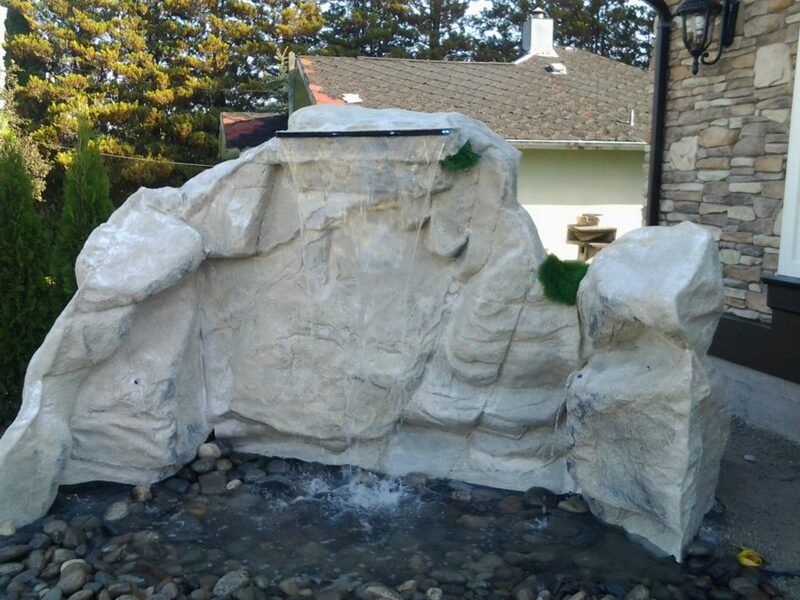 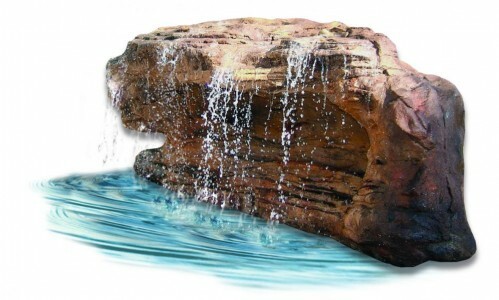 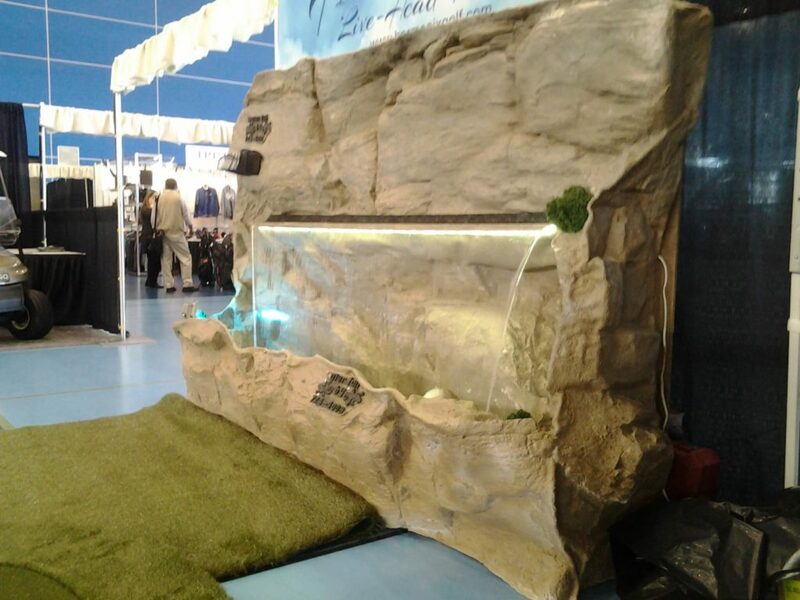 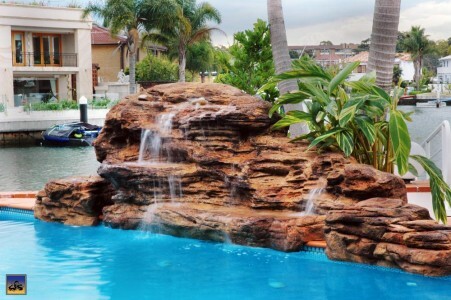 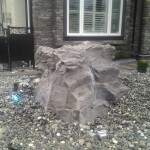 In short, a feng shui water feature attracts good energy, prosperity and fortune, while creating a relaxing environment and adding style to your landscape or living room. 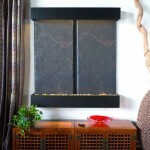 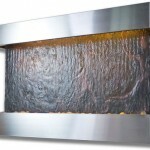 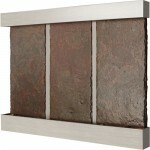 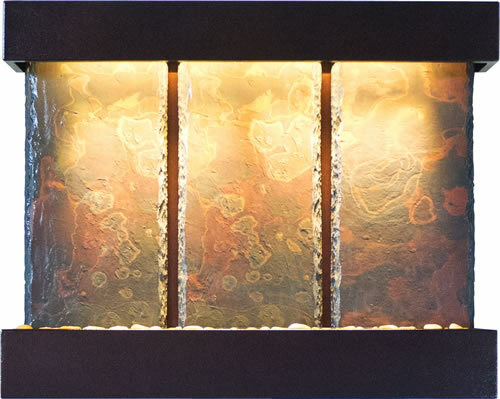 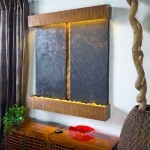 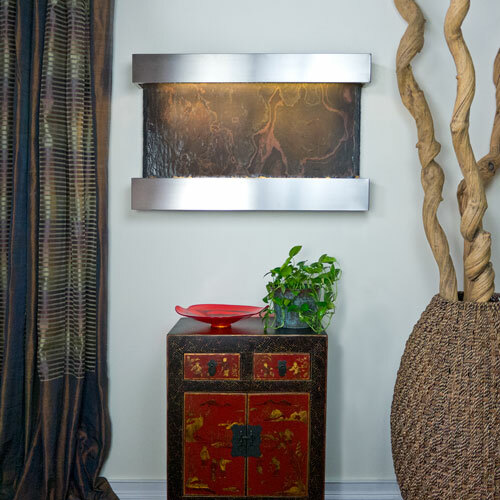 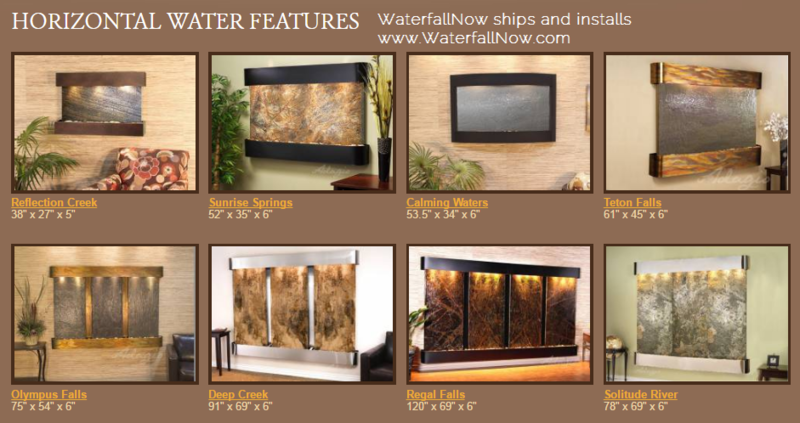 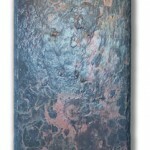 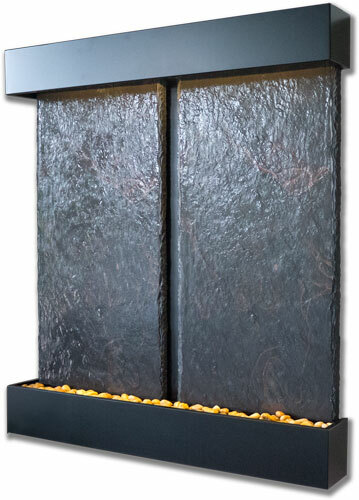 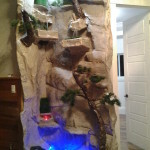 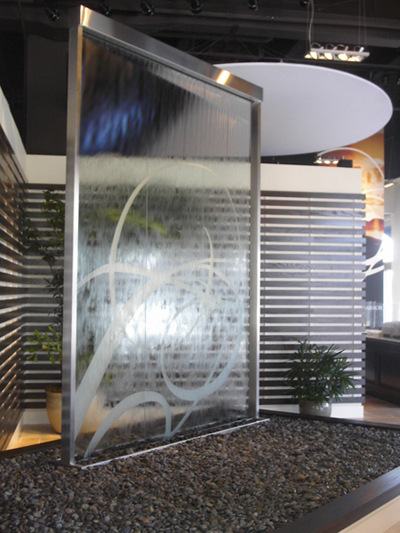 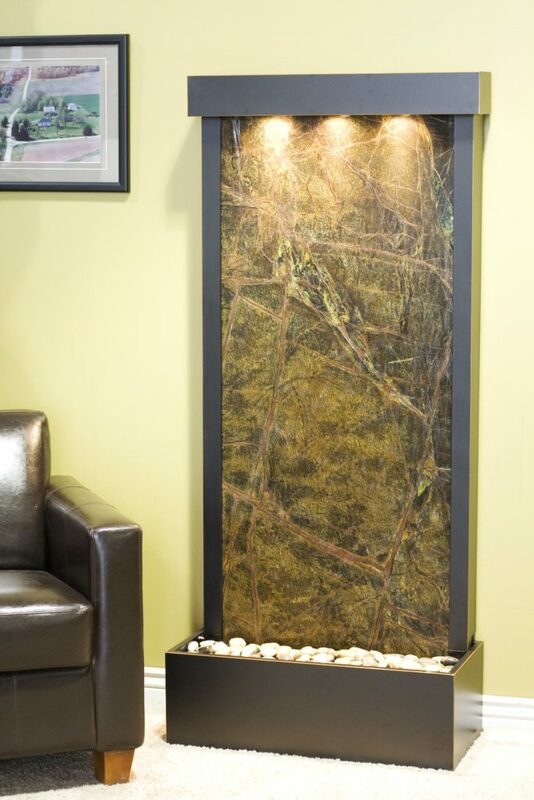 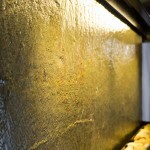 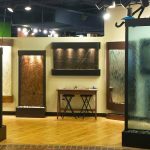 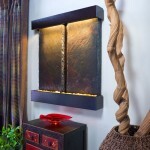 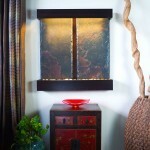 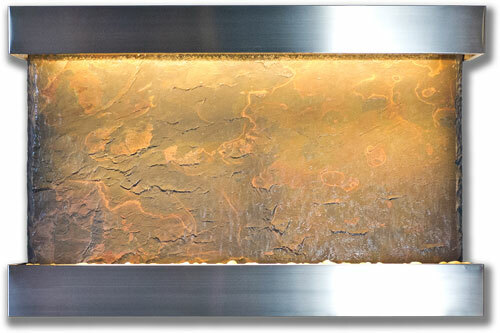 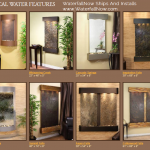 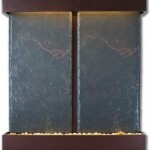 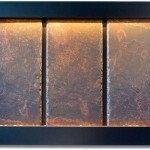 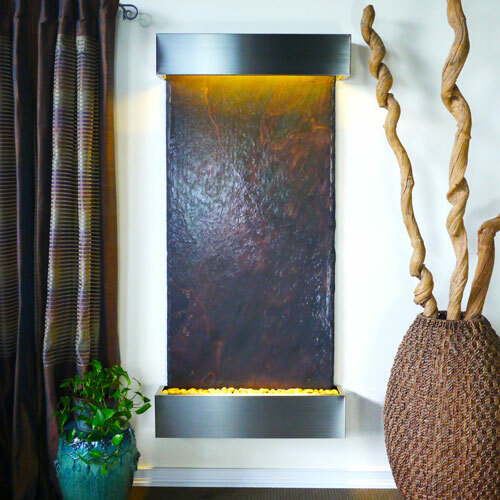 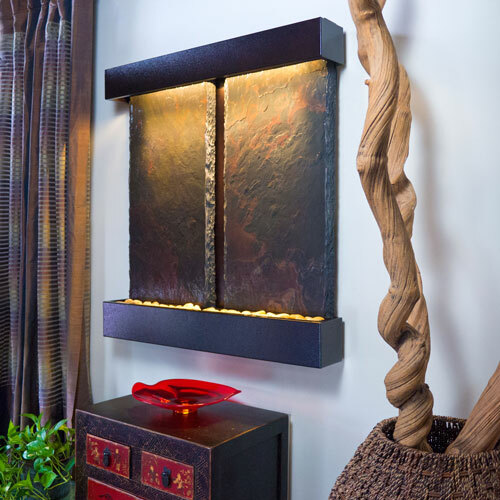 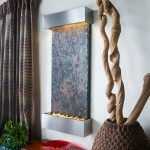 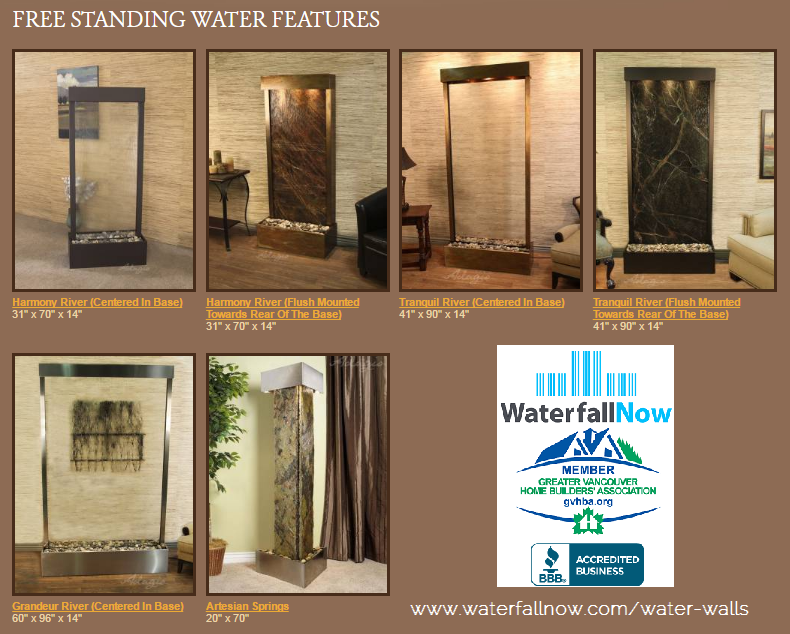 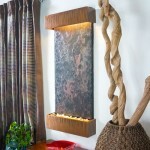 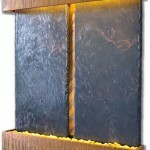 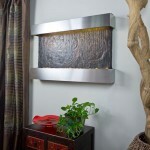 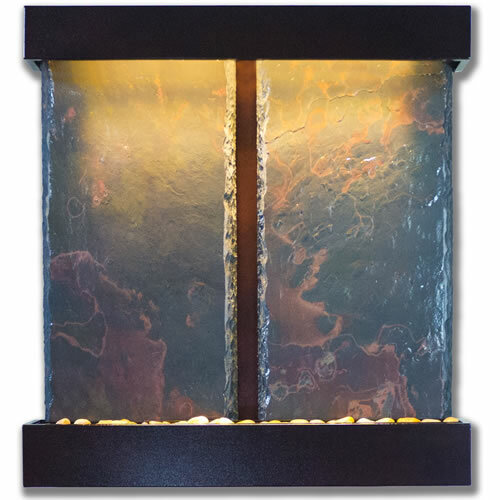 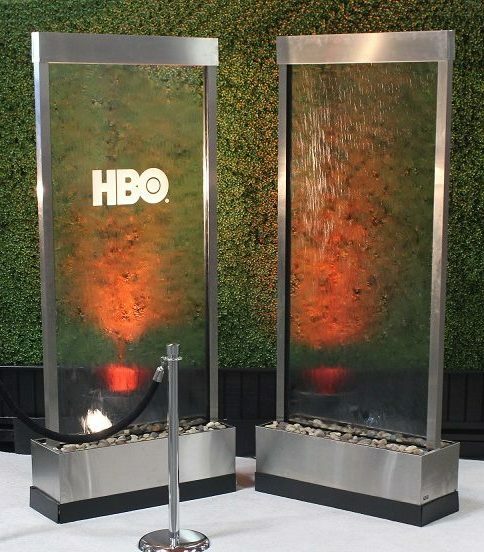 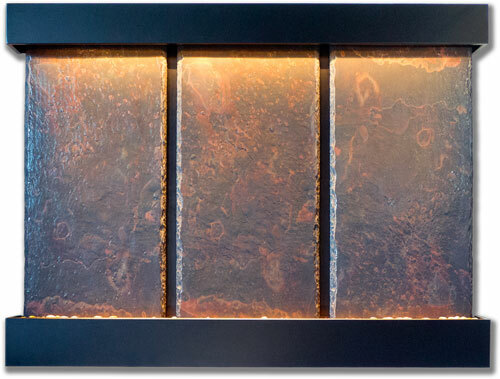 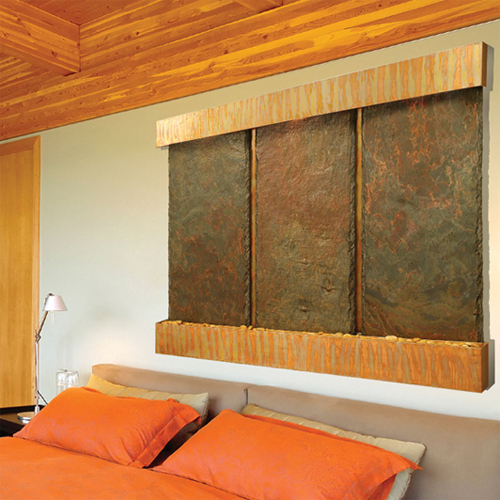 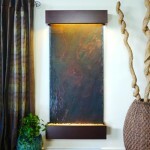 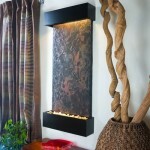 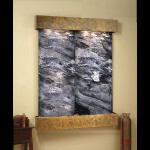 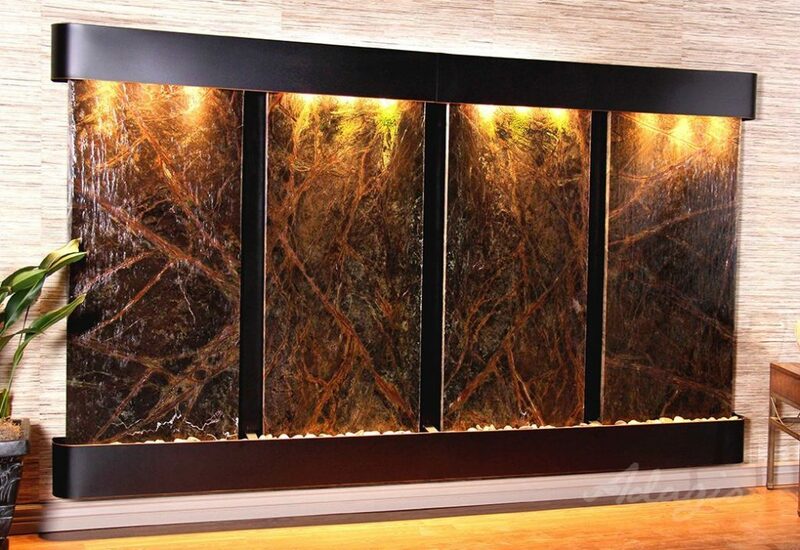 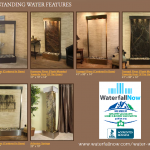 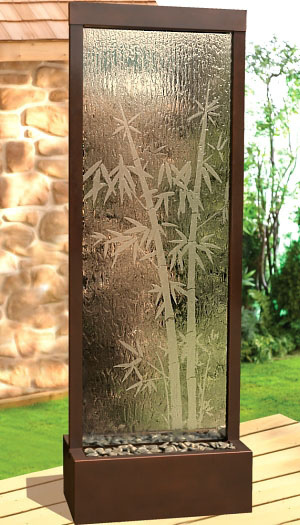 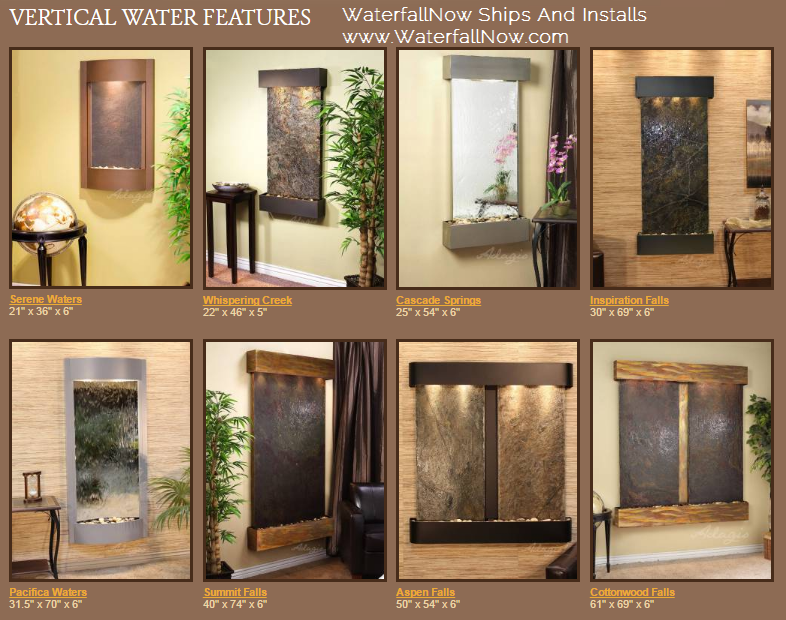 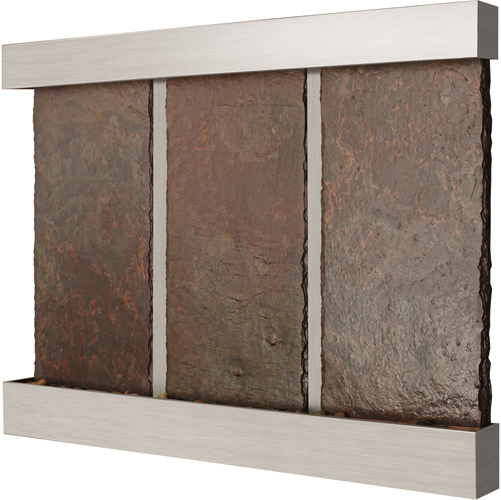 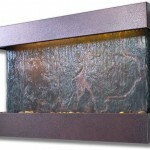 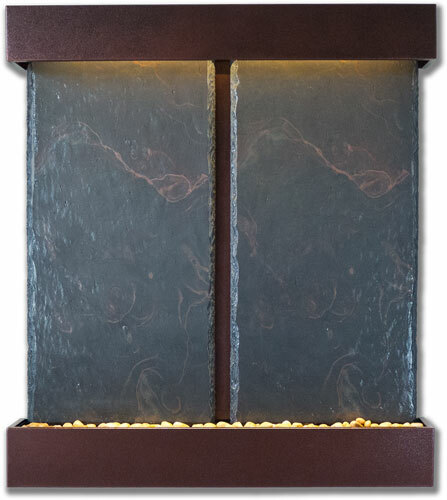 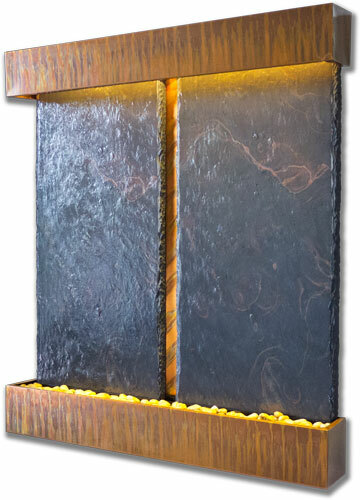 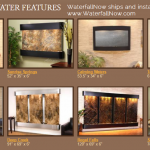 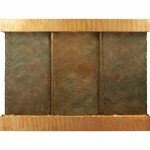 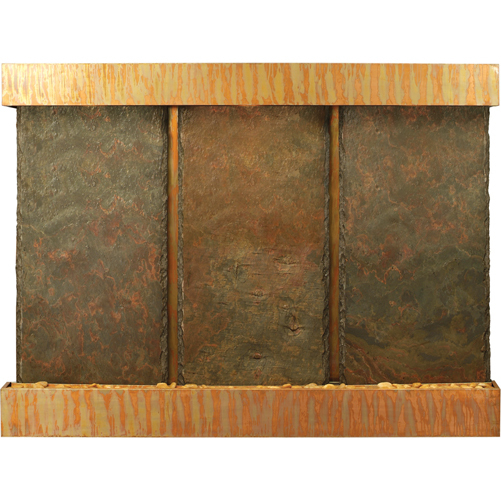 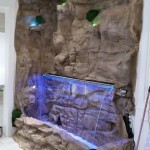 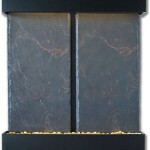 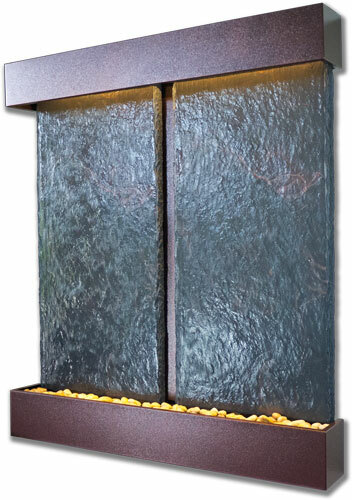 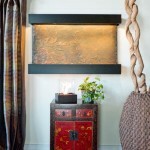 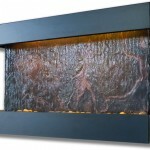 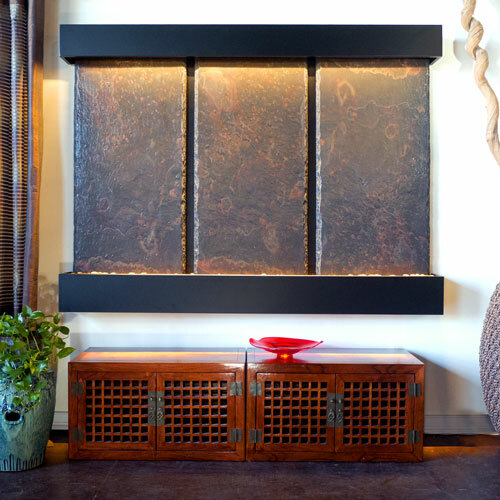 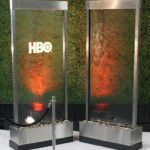 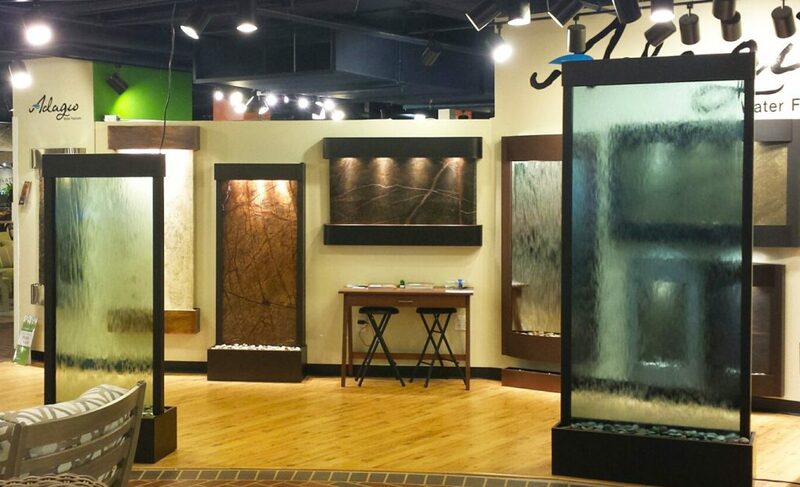 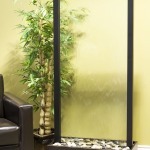 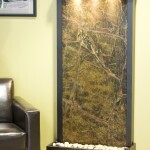 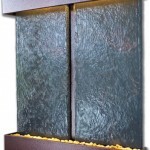 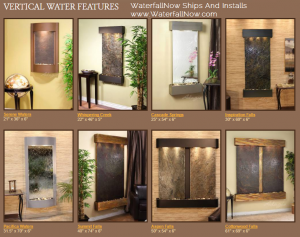 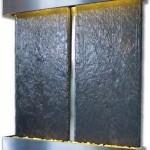 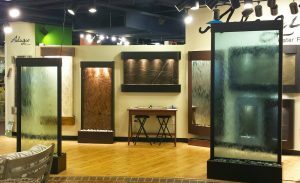 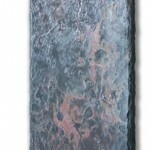 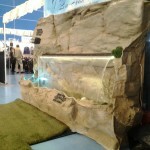 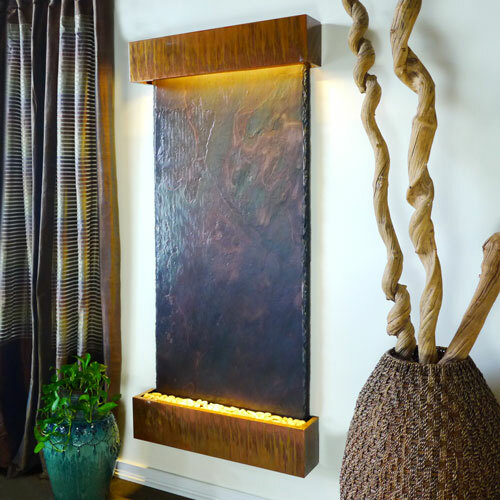 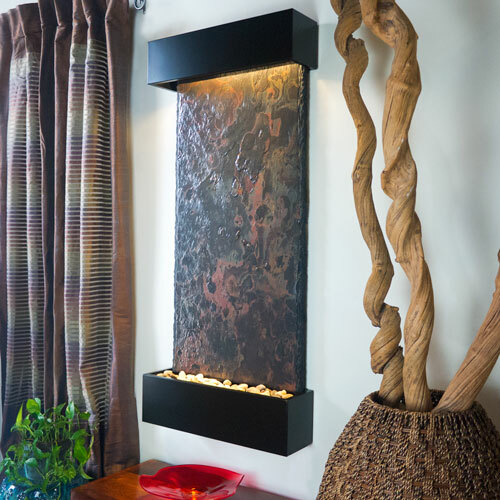 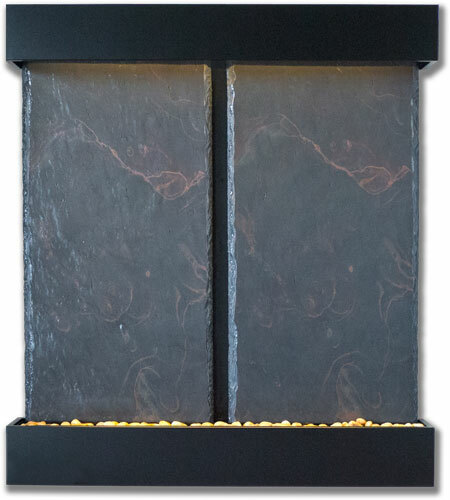 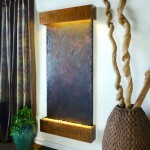 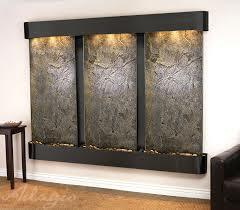 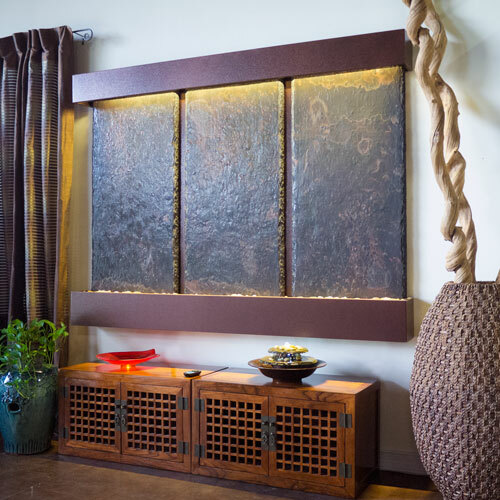 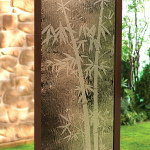 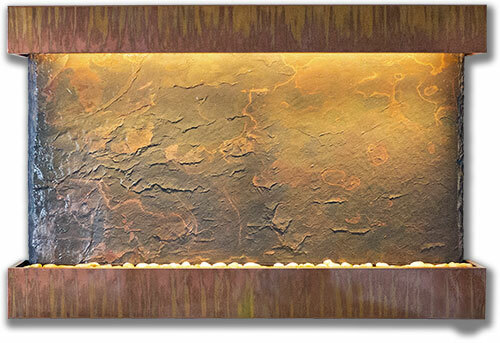 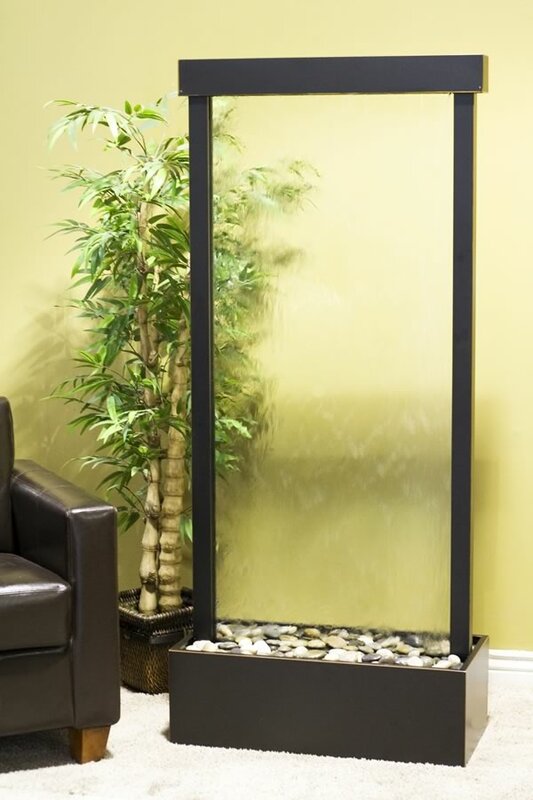 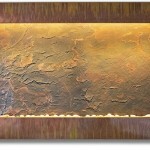 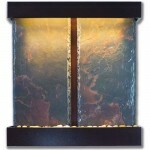 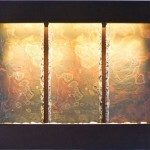 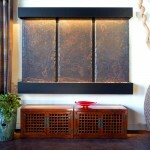 Shop for free-standing and wall hanging water walls at sale prices from our online store.